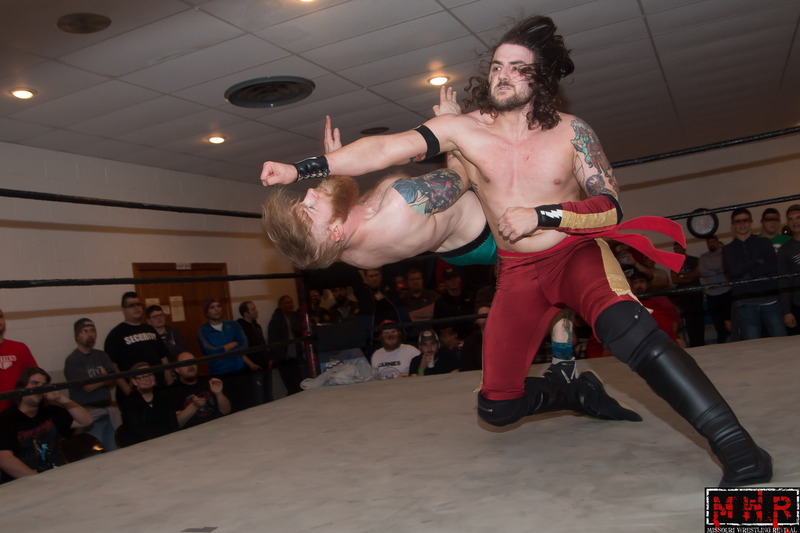 The names of Davey Vega and Mat Fitchett are well-known to Midwest wrestling fans, but the national wrestling scene has only recently begun to discover the talents of these skilled competitors. 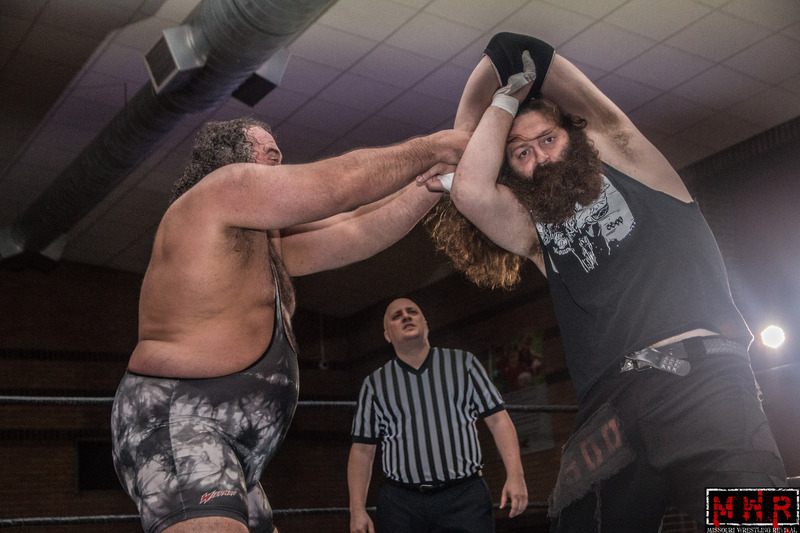 Both men started their careers with Dynamo Pro Wrestling before branching out to the Lethal Wrestling Alliance, which would later become St. Louis Anarchy. 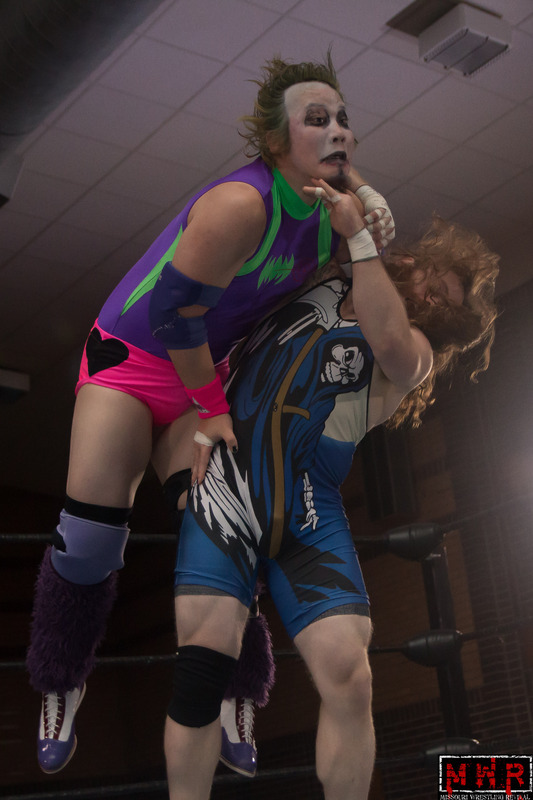 Vega was first known as a tag team competitor and teamed with Johnny Vinyl to feud with The Ego Express(Steven Kennedy & K.C. 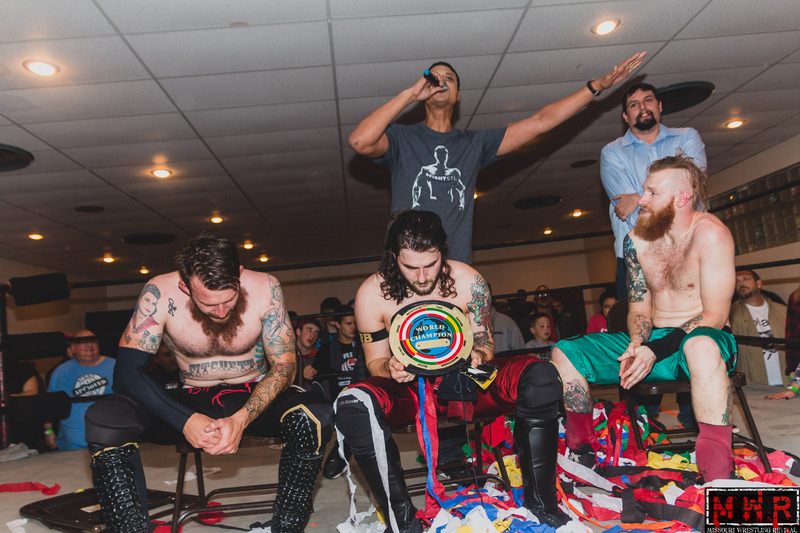 Karrington), leading to Kennedy & Karrington becoming the first LWA Tag Team Champions when they defeated Vega and substitute partner Dingo. 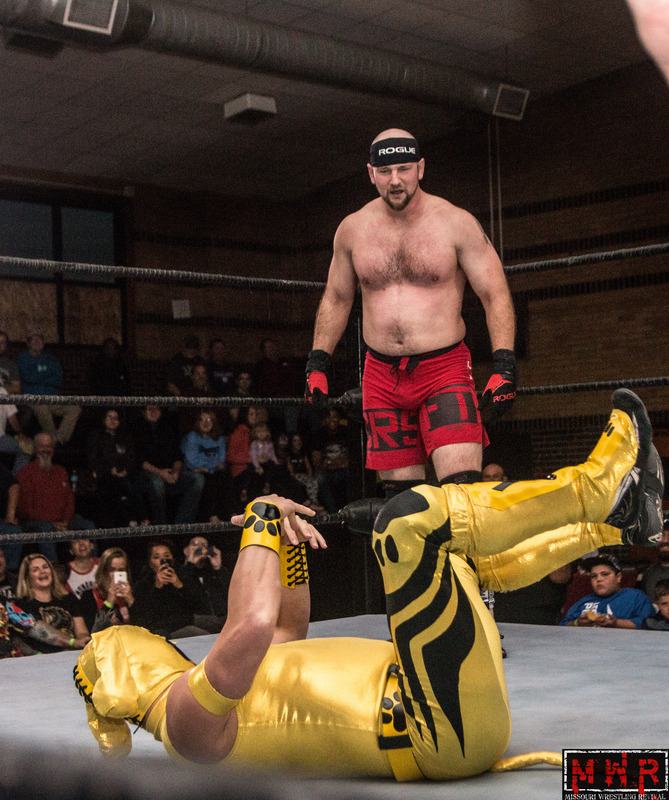 After that, Vega focused on singles competition…after holding the NWA Missouri Title in Dynamo Pro, he went on to capture the LWA Heavyweight Title from Gary Jay in December of 2009. Vega held the title for most of 2010 before dropping it to Evan Gelistico; this occured shortly before the transition to St. Louis Anarchy and Vega spent most of that promotion’s existence chasing the title. 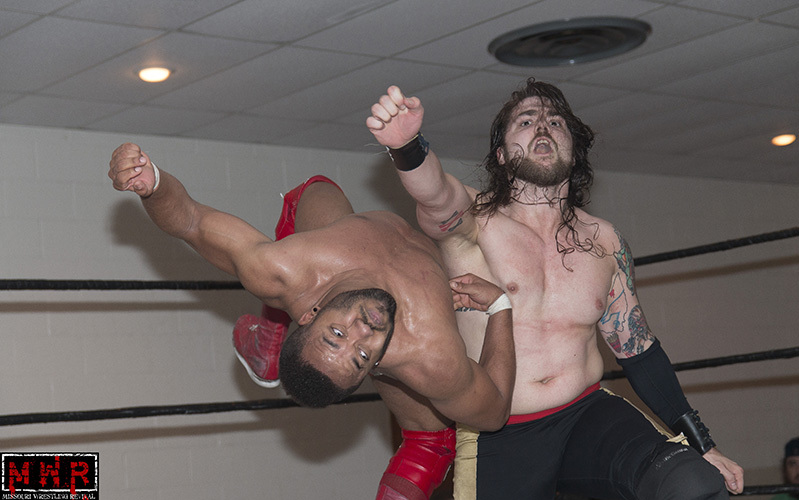 Davey Vega explodes with a clothesline on ROH Star Jonathan Gresham. 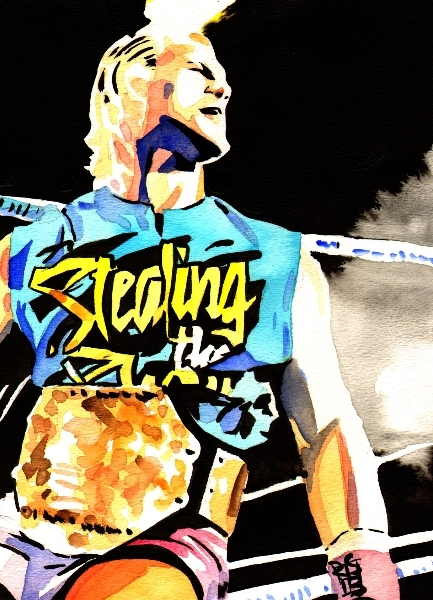 In that time, Vega competed against some of the best wrestlers in the world and scored victories over many of them. 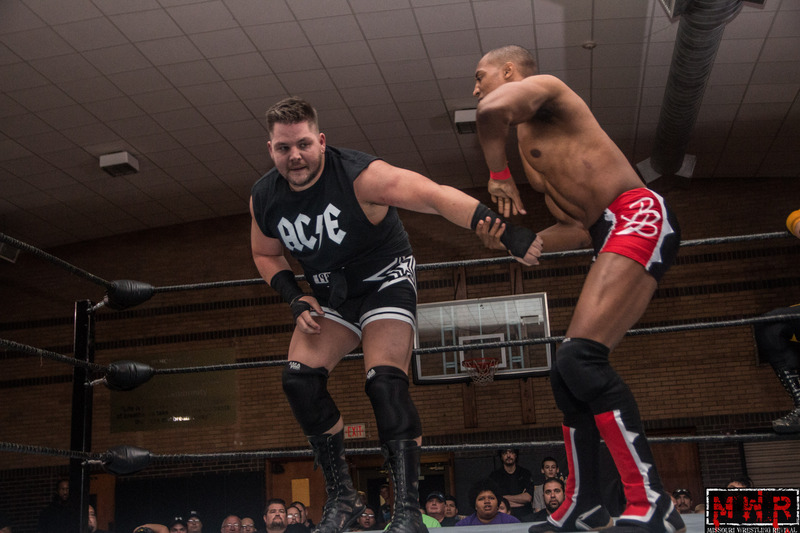 That list included such names as Davey Richards, Kyle O’Reilly, Johnny Gargano, Arik Cannon, A.C.H., Michael Elgin, Roderick Strong, Chris Hero, Jonathan Gresham, D.J. Z, T.J. Perkins, Chip Day, and Martin Stone. 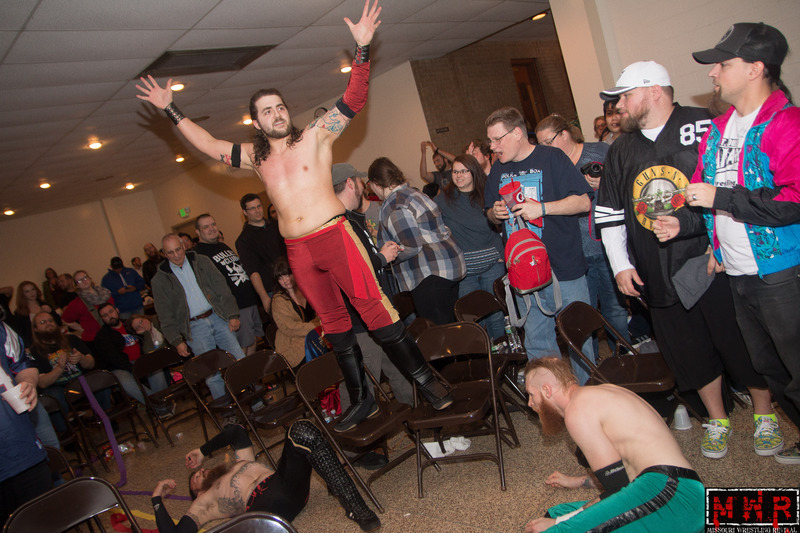 In his final opportunity at the gold at St. Louis Anarchy’s last show, Vega finally capitalized by winning a triple threat match with champion Fitchett and Gary Jay for the title! 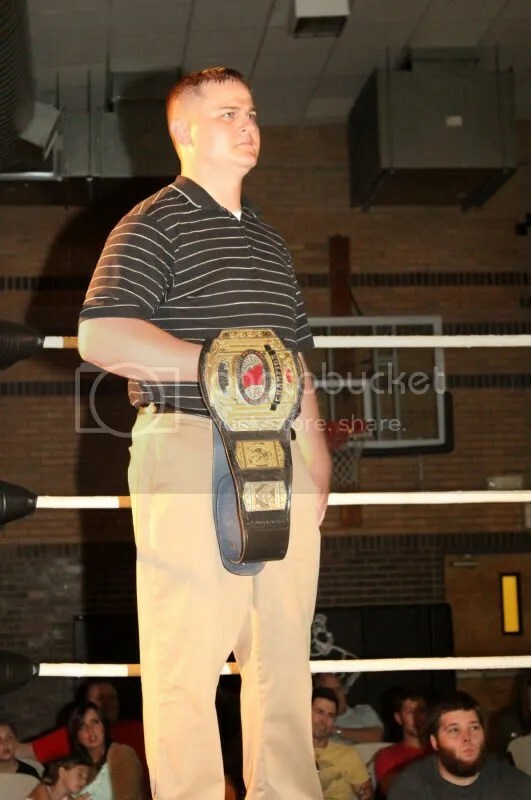 Vega will continue to carry the championship in Pro Wrestling Championship Series as the “Gateway Heritage Title“. 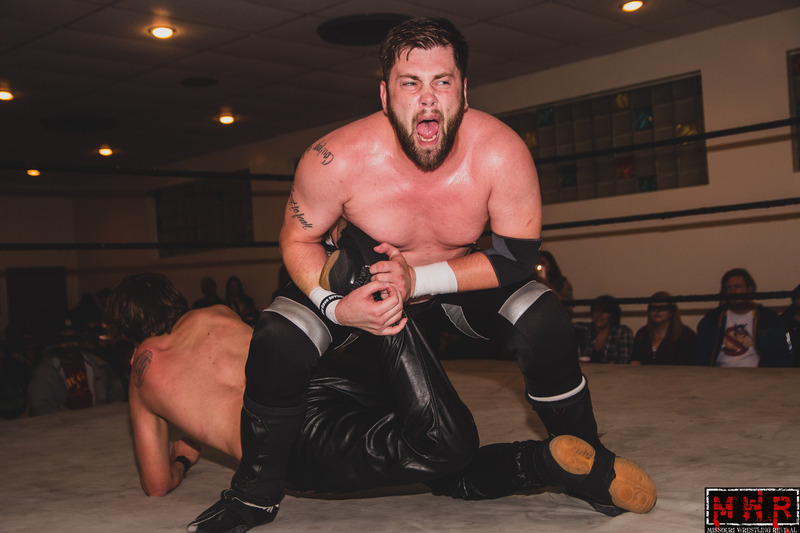 As for Fitchett, his career took a similar path and he squared off with many of the same competitors as his often-time tag partner Vega. 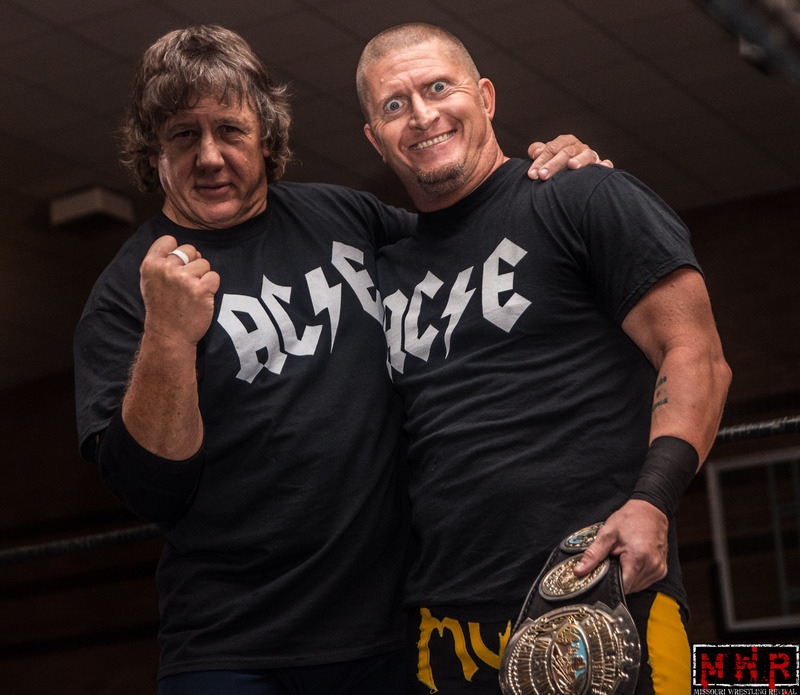 In fact, Fitchett and Vega were Tag Team Champions in both the Chicago-based All-American Wrestling and the Kansas City-based Metro Pro Wrestling! 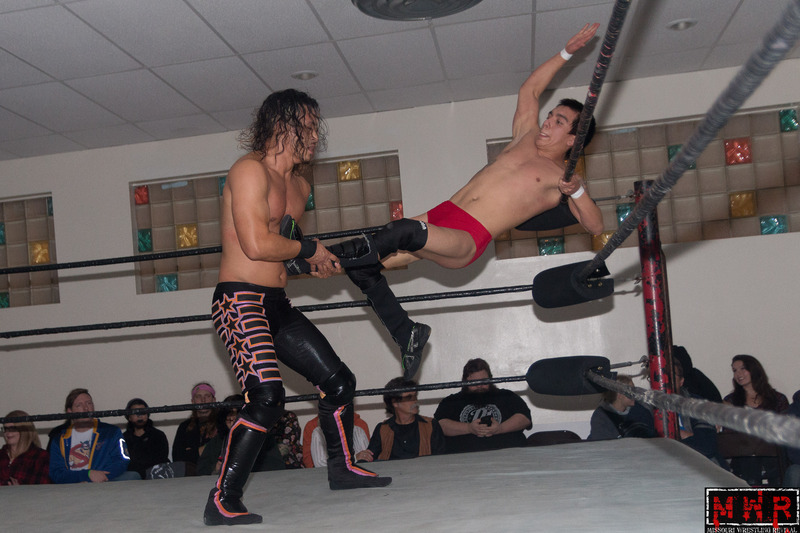 TJ Perkins found WWE gold in 2016, but before that he and Fitchett put on a wrestling clinic at St. Louis Anarchy. 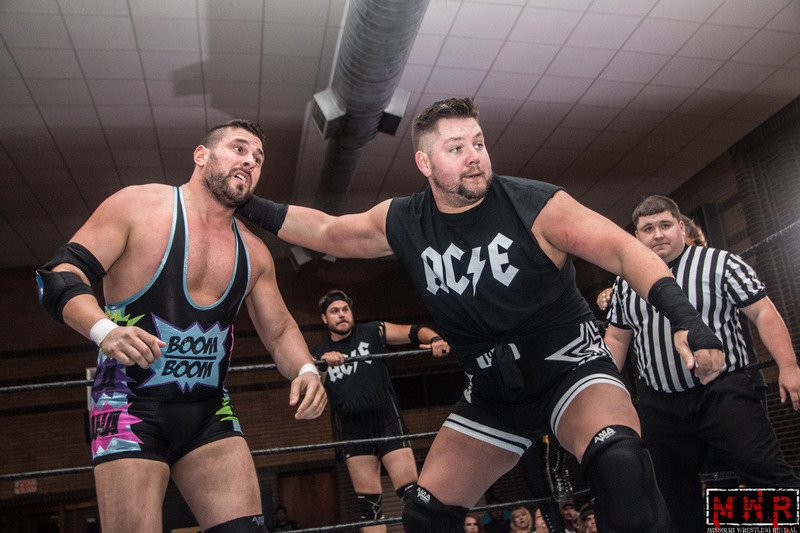 The “Dirty Rook” took his lumps in his early LWA and SLA career, enduring hard-hitting battles with the likes of Arik Cannon, Akira Tozawa, Alex Shelley, and his trainer Dingo. 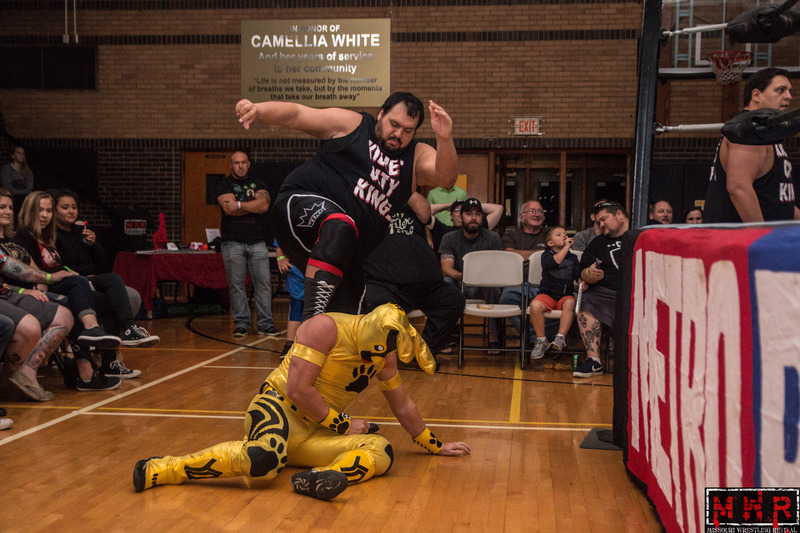 Fitchett was frustrated after several near-misses in title matches against Darin Corbin and Gary Jay, leading to him taking a sabbatical from SLA competition; however, it turned out that he was hiding under the mask of “Dangerous Deveroux” as he competed for SLA and PWCS. 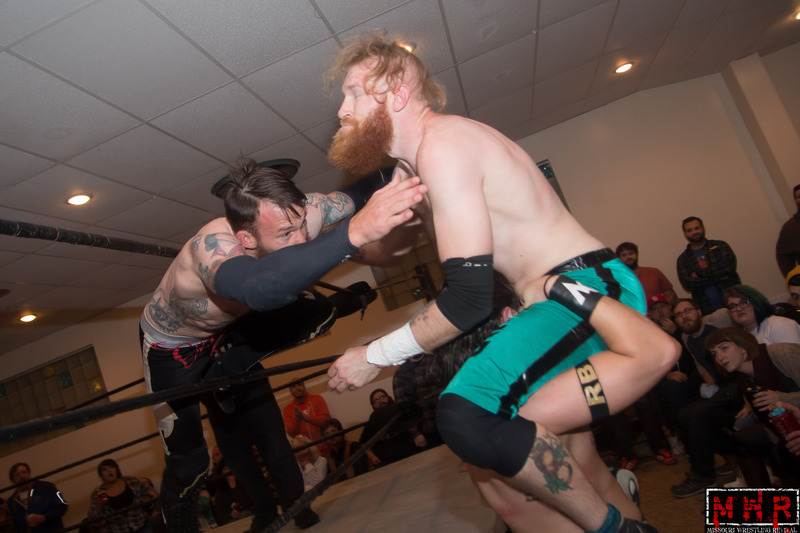 Fitchett had an uphill battle against Gary Jay as the champion rode a wave of momentum, holding the title for over two years with title defenses against some of the toughest competition in the country. 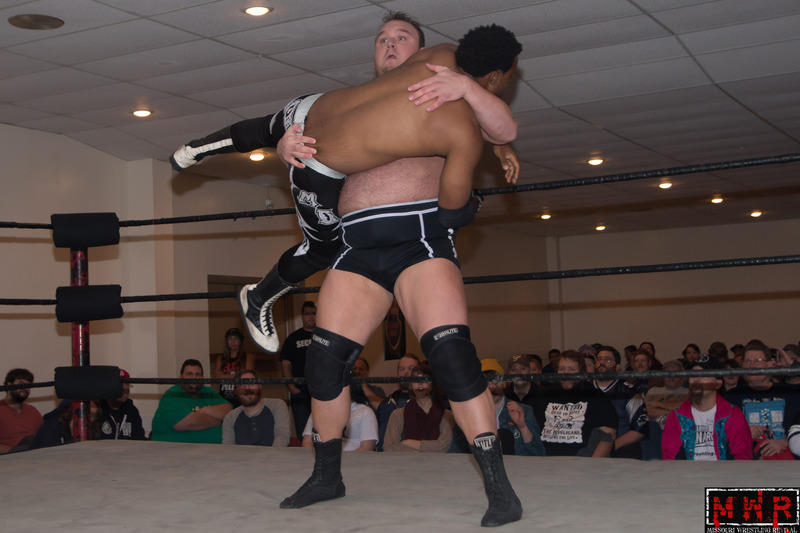 Winning a thirty-man Anarchy Rumble in late 2015 finally propelled him back into title contention…and in February of 2016, Fitchett finally ended Gary’s monumental title reign to reach the top of the mountain! 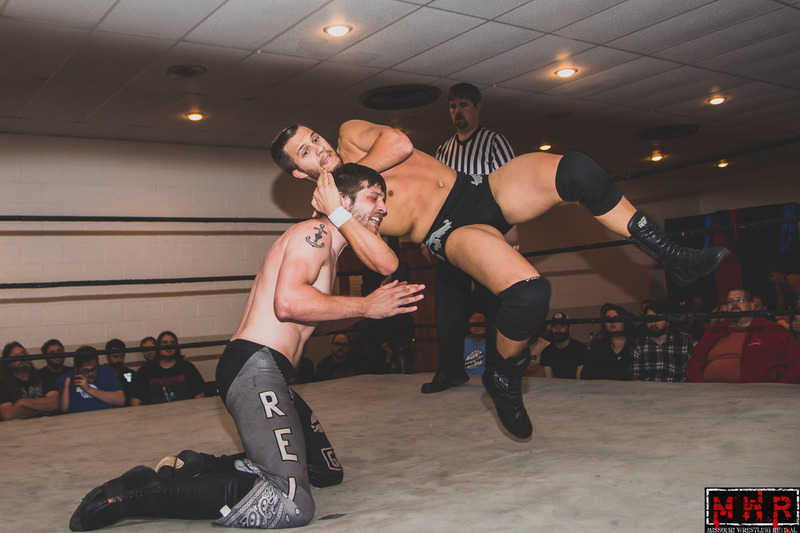 Fitchett didn’t shy away from challenges as he defended his title against Evan Gelistico, T.J. Perkins, Jake Dirden, and Paco Gonzalez…but on STL Anarchy’s final night, he lost the title to Vega. 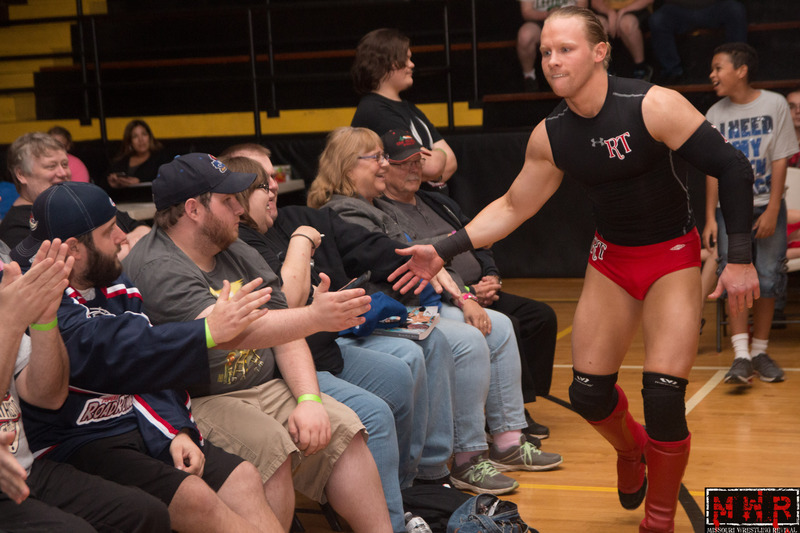 It took several years for both men to gain attention in the national independent wrestling scene, but their exposure in AAW and Beyond Wrestling has turned the heads of many onlookers. 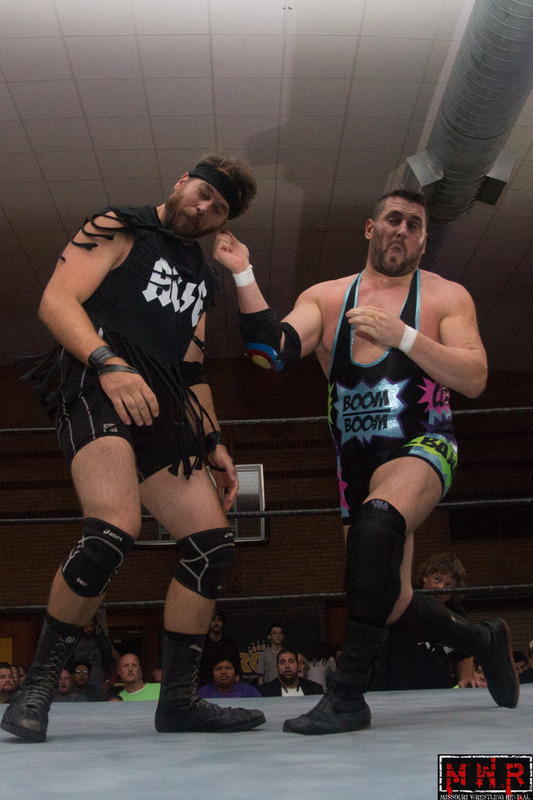 Now forming the “Blood Brothers” tag team in the National Wrasslin’ League under the names Davey Gibson and Matthew Grundy, the two look to add more tag team gold to their already impressive resumes! These two men have been considered the Midwest’s best-kept secrets, but that secret is finally getting out! Look for an exclusive MWR Future Star artwork honoring Davey Vega and Mat Fitchett for their achievement from acclaimed artist Dartallion Allen Jr. in the future. If you would like to sponsor the MWR Future Star Plaques for Davey Vega and Mat Fitchett then please contact MWR at flairwhoooooo@yahoo.com. The cost is 50.00 each or $100.00 for both (two plaques) and you will receive a past MWR Yearbook, a Tyler Black (Seth Rollins rookie card) and a mention on the MWR Website. 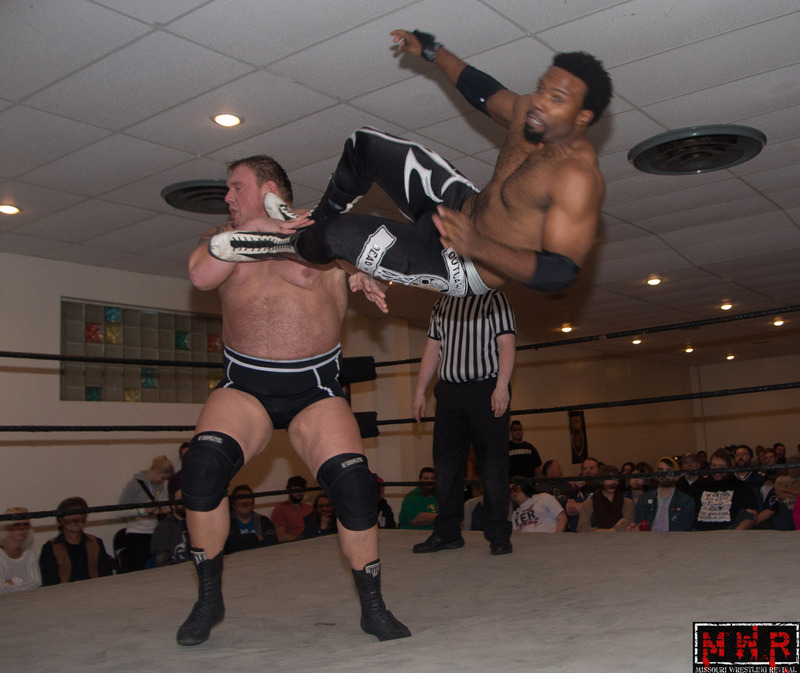 MMWA Tag Champs Prince Moses & Damion Cortess fought A.J. Williams & Da’Marius Jones to a double countout. A.J. Williams & Da’Marius Jones def. 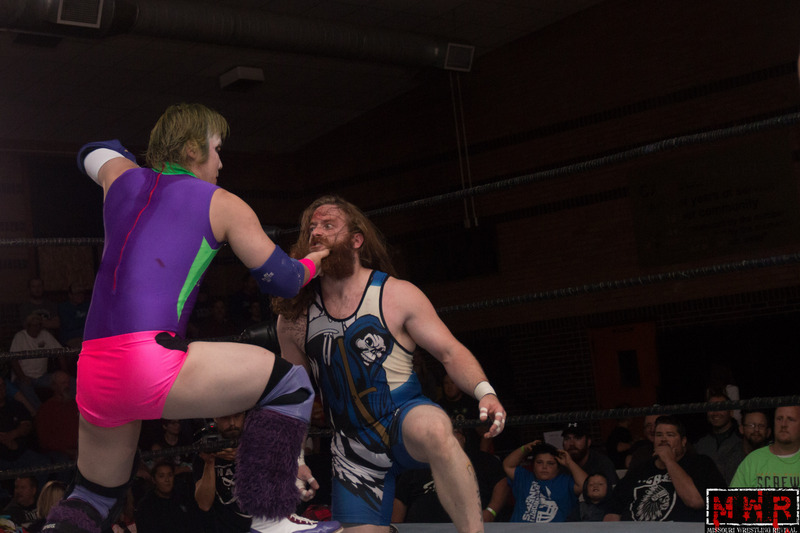 Prince Moses & Matt Kenway. AJ Williams & Da’Marius Jones def. High Level Enterprise (Jack Gamble & Jon Webb) to win the vacant High Risk Wrestling Tag Team Titles. 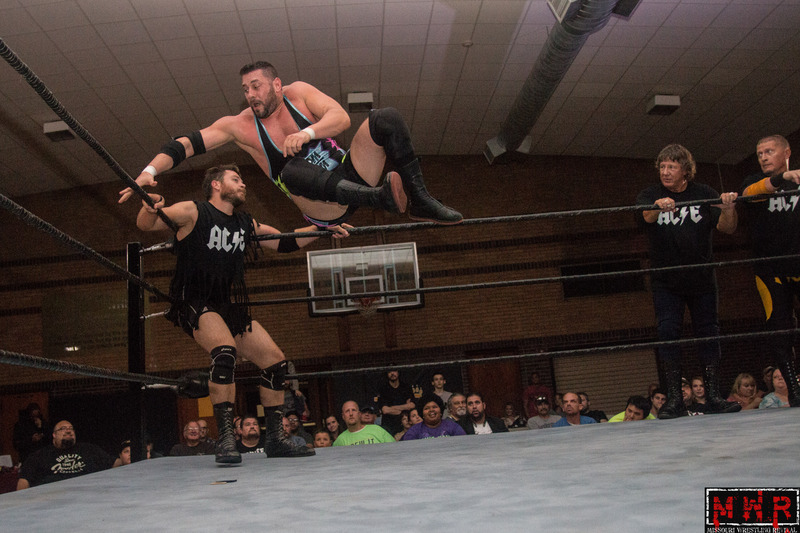 The Alpha Class (Danny Adams & Paco Gonzalez) won a triple threat match with The Submission Squad(Evan Gelistico & Pierre Abernathy) and 2.0 (A.J. Williams & Da’Marius Jones. Alpha Class (Danny Adams & Paco Gonzalez) def. The Professionals (Shawn Santel & Mauler McDarby). 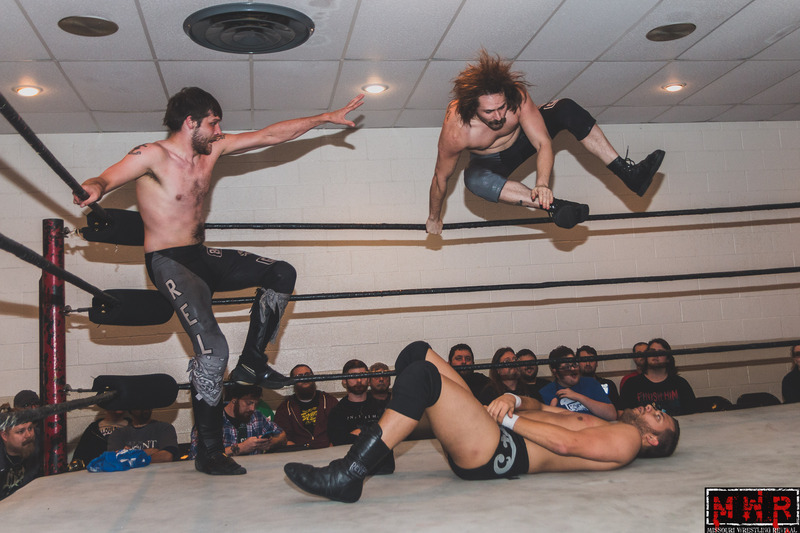 Dynamo Pro Wrestling Tag Champs High Level Enterprise (Jack Gamble & Jon Webb) def. Alpha Class (Danny Adams & Paco Gonzalez). Alpha Class (Danny Adams & Paco Gonzalez) def. Carnivore Club (Blake Belakis & Nate Redwing). Danny Adams & Paco Gonzalez def. Craig Mitchell & Kenny Sutra. Keon Option & Justin D’Air def. The Bite Club & Alpha Class (triple). Danny Adams & Paco Gonzalez pinned Everett Conners & Austin Blackburn. Alpha Class (Danny Adams & Paco Gonzalez) def. The Bestiest In The World (Davey Vega & Mat Fitchett. Alpha Class (Danny Adams & Paco Gonzalez) def. The Carnivore Club (Blake Belakis & Nate Redwing) to win the Proving Ground Pro Tag Titles. Proving Ground Pro Tag Champs Alpha Class pinned Blake Belakis & Nate Redwing. 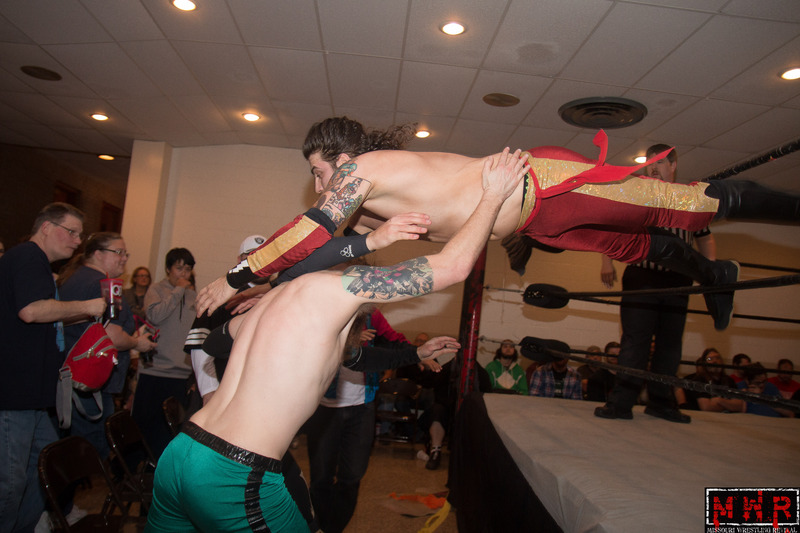 Dynamo Pro Wrestling Tag Team Champions Straps Down University (Keon Option & Justin D’Air) def. Alpha Class( Danny Adams & Paco Gonzalez). 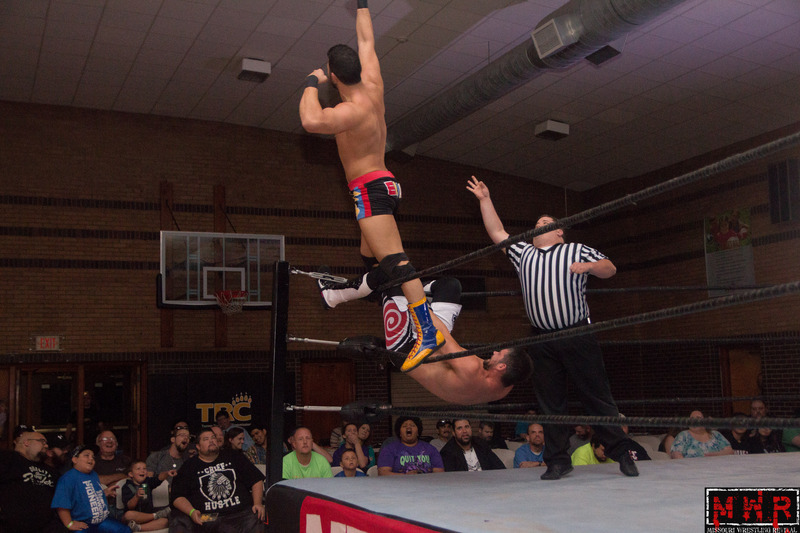 Proving Ground Pro Tag Champions Alpha Class (Danny Adams & Paco Gonzalez) def. The BrotherHood (Brother Reed & Micky Muscles). 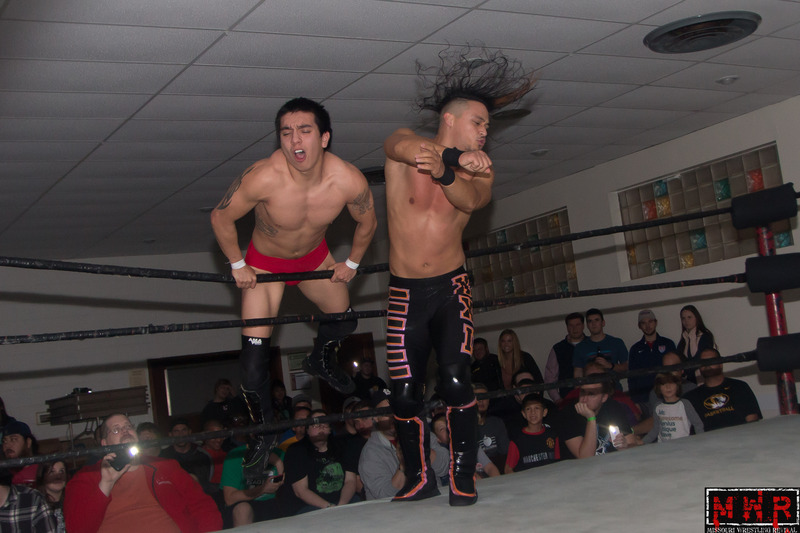 Proving Ground Pro Tag Champions Alpha Class (Danny Adams & Paco Gonzalez) def. Zero Gravity. Babewatch (Brandon Espinosa & Brandon Aarons) def. 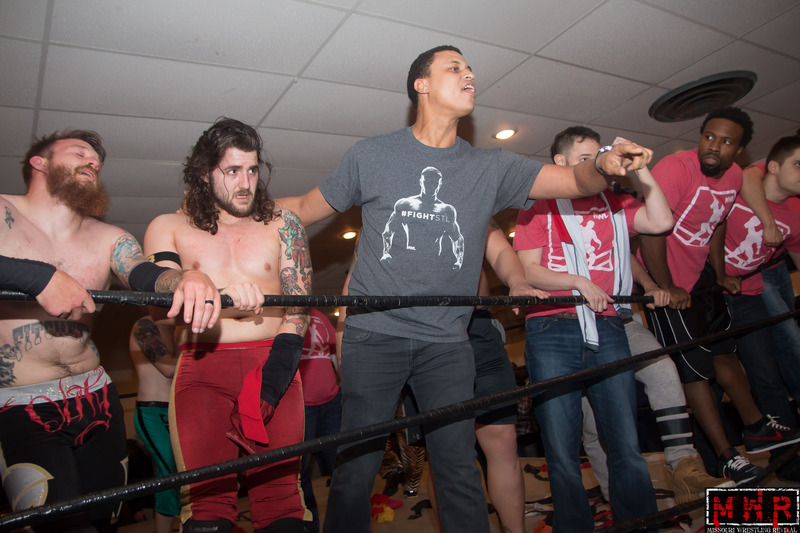 Evan Morris & Matt Kenway. 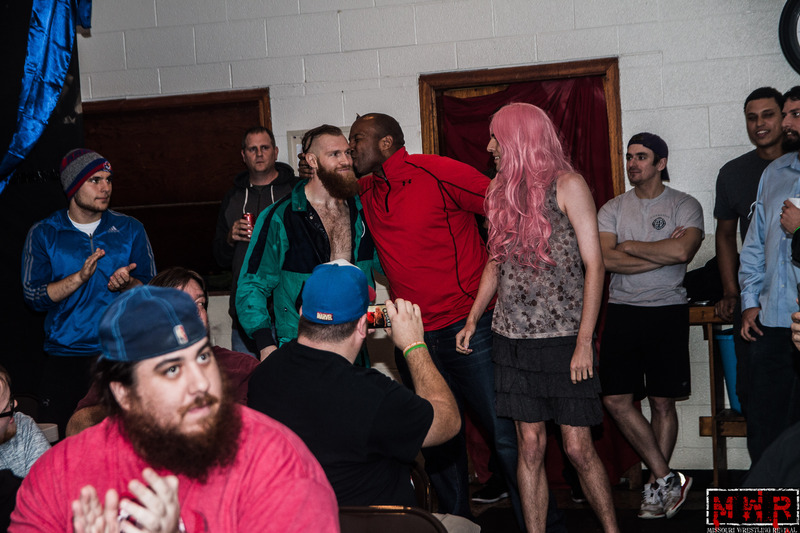 Babewatch (MWR Missouri Champion Brandon Espinosa & Brandon Aarons) def. Jack Gamble & Matt Kenway to win the High Risk Wrestling Tag Team Titles. 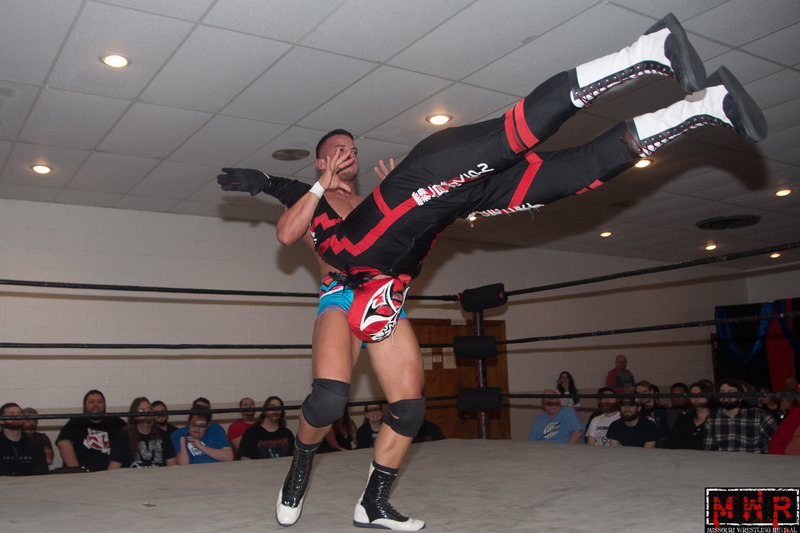 The Bayside Bruisers (Jaysin Strife & JC Slater) def. Adrian Alexander & Devin Thomas. 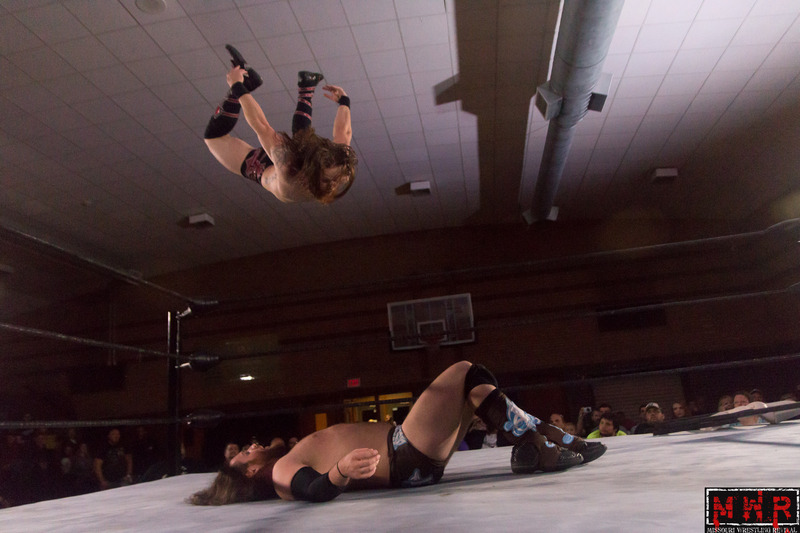 The Northstar Express (Darin Corbin & Ryan Cruz) def. The Bayside Bruisers( Jaysin Strife & J.C. Slater). 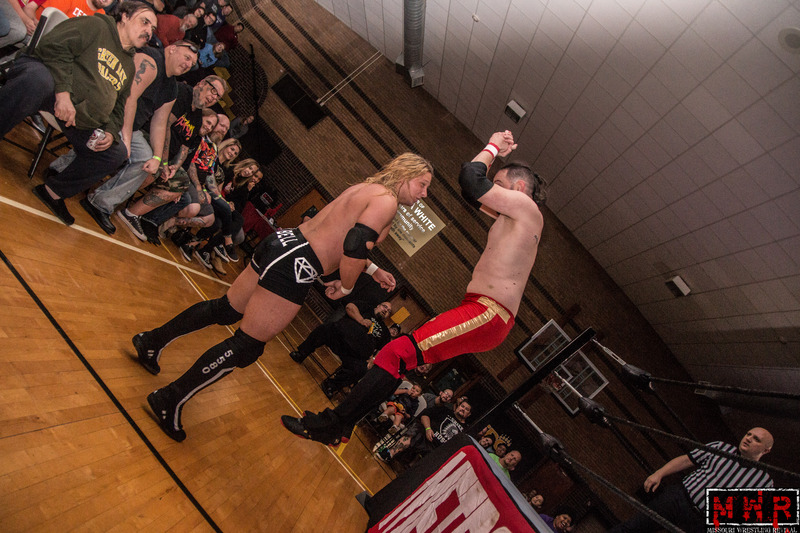 The Bayside Bruisers (Jaysin Strife & KC Slater) def. The Convoy (Maddog McDowell & JD Riggs). Flawless & Delicious (Brandon Wallace & Devin Carter) def. Bayside Bruisers (Jaysin Strife & JC Slater) to win the 2016 Jeff Thompson Memorial Tag Team Tournament. 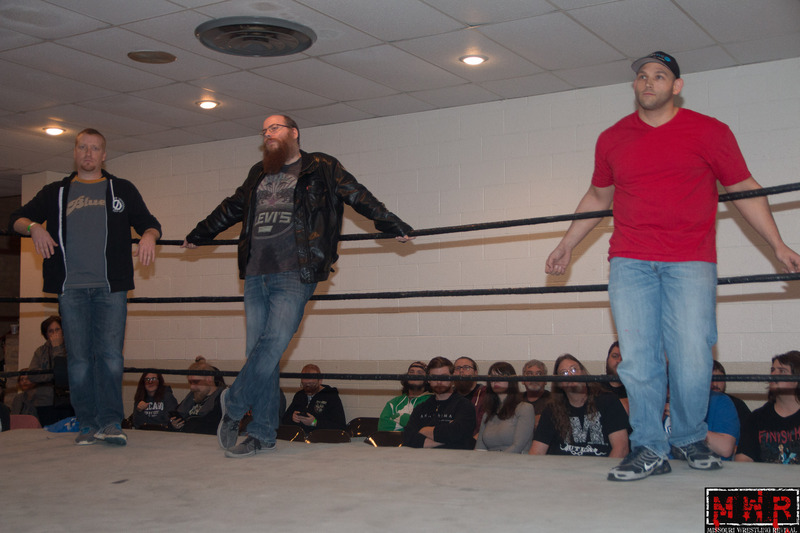 The Dynamo Pro Wrestling Champions The Professionals (Shawn Santel & Mauler McDarby) (w/ Evan Morris) def. The Bite Club (Rocket Mapache & Jackal). The Midnight Society (Jayson Khaos & Billy McNeil w/ C.J. McManus) def. The Bite Club (Rocket Mapache & Jackal). Mike Sydal & Kiyoshi Shizuka def. The Bite Club (Rocket Mapache & Jackal). Black Hand Warriors (Michael Magnuson & Jayden Fenix). Dynamo Pro Wrestling Tag Team Champions High Level Enterprise (Jack Gamble & Jon Webb) def. The Black Hand Warriors (Michael Magnuson & Jayden Fenix). 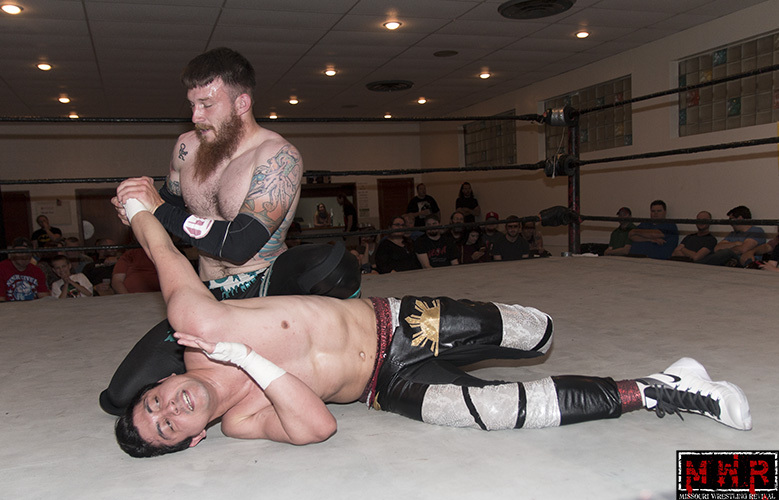 The Black Hand Warriors (Michael Magnuson & Dave DeLorean) def. 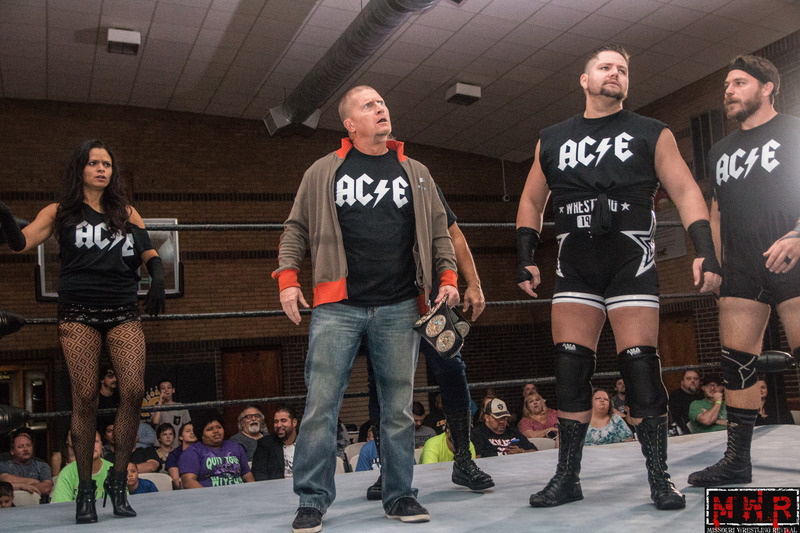 Elite Aggression (Superstar Steve Fender & ” Mark Sterling( w/ Trevor Murdoch) to win the World League Wrestling Tag Team Titles. 3XW Tag Team Champion Jon West & Griz def. Maddog McDowell & Devin Carter. 3XW Tag Team Champions Jon West & Griz def. Maddog McDowell & Devin Carter. 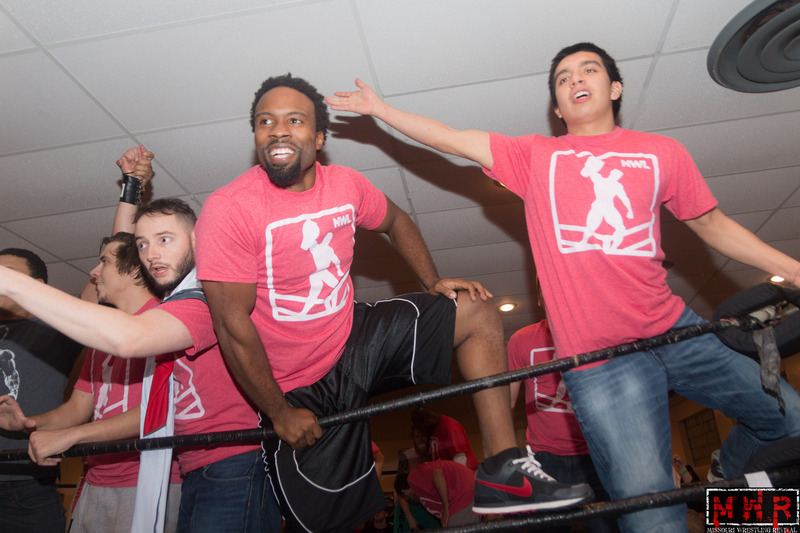 3XWrestling Tag Team Champions Black Wrestlers Matter (Jon West & James Grizzle) def. Jay Maynard & Joey Edwards. The Carnivore Club (Blake Belakis & Nelson Sixx) def. Team IOU (Nick Iggy & Kerry Awful). 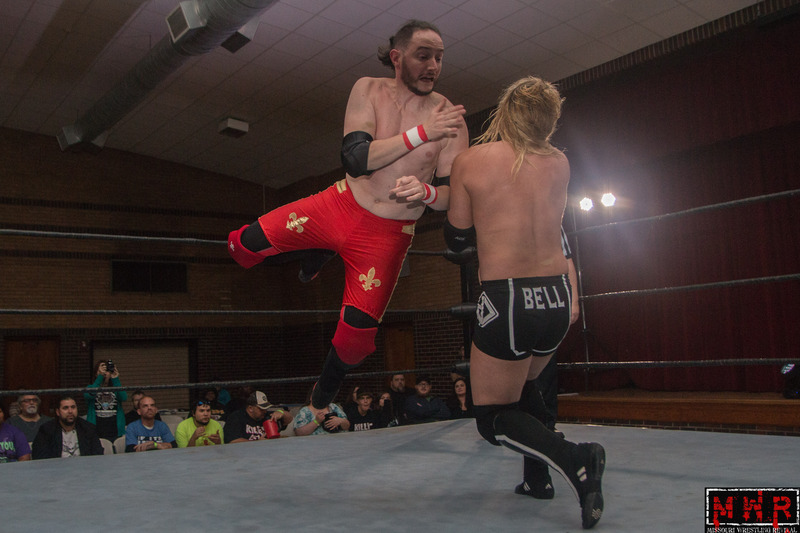 The Commission (Evan Gelistico & Pierre Abernathy) def. the King Brothers (Jake and Ryan). 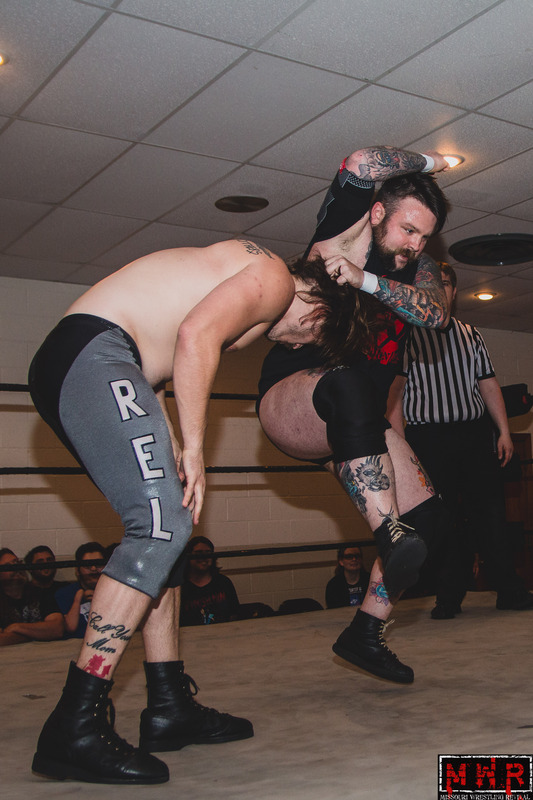 The Commission (Pierre Abernathy & Evan Gelistico) def. Team Vintage (The Iceman & Kraig Keesaman. Roscoe Eat Lisa def. The Submission Squad (Pierre Abernathy & Evan Gelistico). 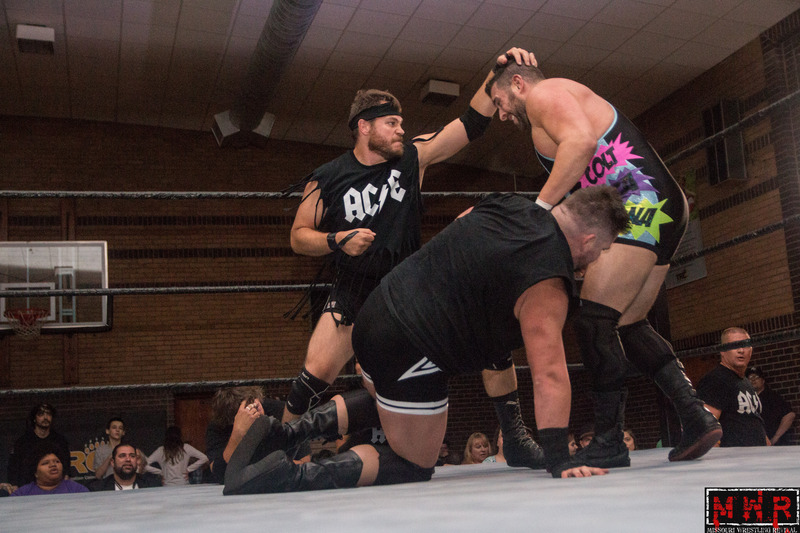 The Alpha Class (Danny Adams & Paco Gonzalez) won a triple threat match with The Submission Squad (Evan Gelistico & Pierre Abernathy) and 2.0 (A.J. Williams & Da’Marius Jones. Metro Pro Wrestling Tag Champs The Kobra Kai Dojo (Davey Vega & Mat Fitchett) def. Evan Gelistico & Pierre Abernathy, The Diamond Dogs (Graham Bell & Luke Langley) and Jake & Ryan King. The Submission Squad (Evan Gelistico & Pierre Abernathy) def. 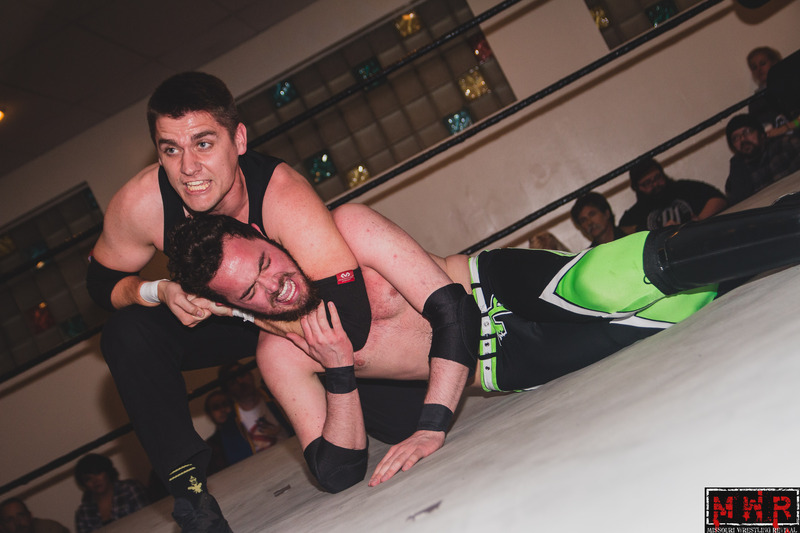 Austin Blackburn & Matt Kenway. 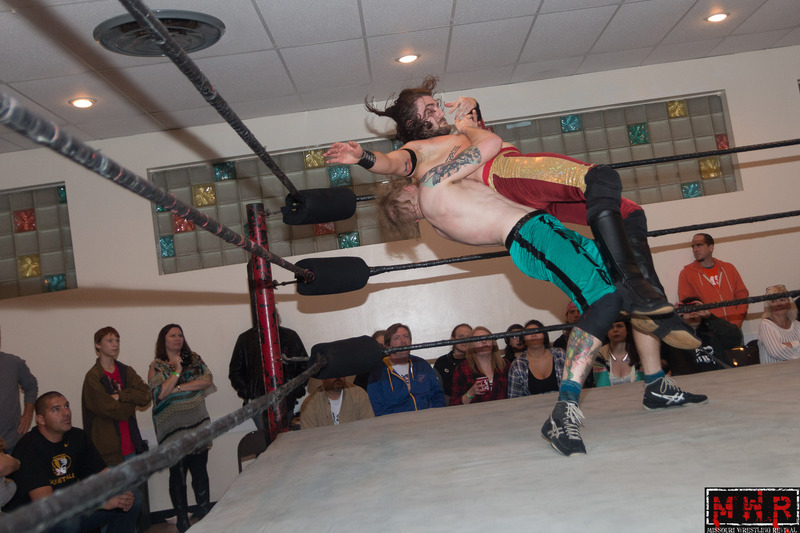 The Commission (Pierre Abernathy & Evan Gelistico) def. Kobra Kai Dojo (Davey Vega and Mat Fitchet) for the Metro Pro Wrestling Tag Team Championship . Pro Wrestling Phoenix Tag Team Champions The Daniels Brothers (Joey & Paul Daniels) def. The American Bulldog (Maddog McDowell & Jon West). Pro Wrestling Phoenix Tag Team Champions The Daniels Bros (Paul & Joey Daniels) (w Axel Greece) def. the team of Purple & Dalton Lee Roth. Pro Wrestling Phoenix Tag Team Champions (Paul & Joey Daniels) The Daniels Bros. def. Dalton Lee Roth & Purple. The Pro Wrestling Phoenix Tag Team Champions The Daniels Bros (Paul & Joey Daniels) def. Con Artiest & Blue Rocket. The Pro Wrestling Phoenix Tag Team Champions Joey & Paul Daniels (w Axel Greece) def. The Rising Phoenix Champion Zac James & Darren Russell by DQ. Pro Wrestling Phoenix Tag Team Champions The Daniels Bros Paul & Joey w/ Axel Greece def. Darren Russell & Duke Cornell. Pro Wrestling Phoenix Tag Team Champions, Paul Daniels & Joey Daniels vs Darren Russell & Hype Gotti went to a No Contest. Darren Russell & Duke Cornell def. Paul Daniels & Joey Daniels to win the Pro Wrestling Phoenix Tag Team Championships. 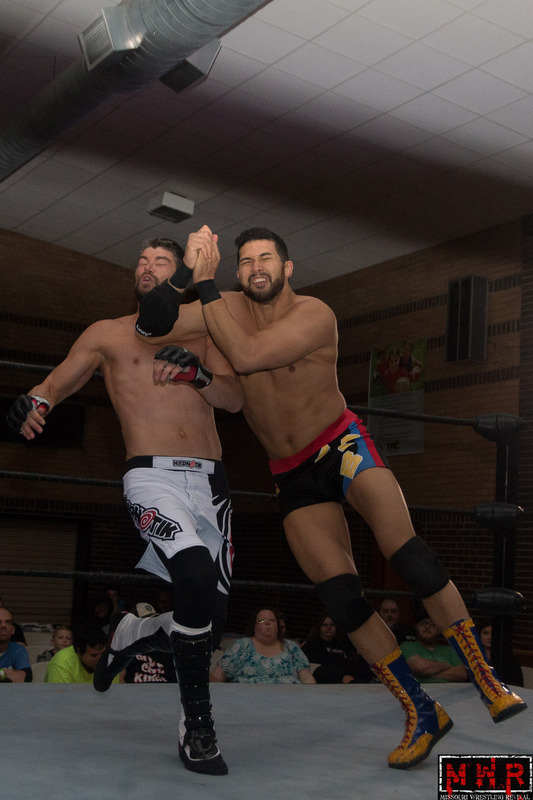 Steve Fender and Mark Sterling (Now known as Elite Aggression) def. Roy Lewis & Air-Raid. 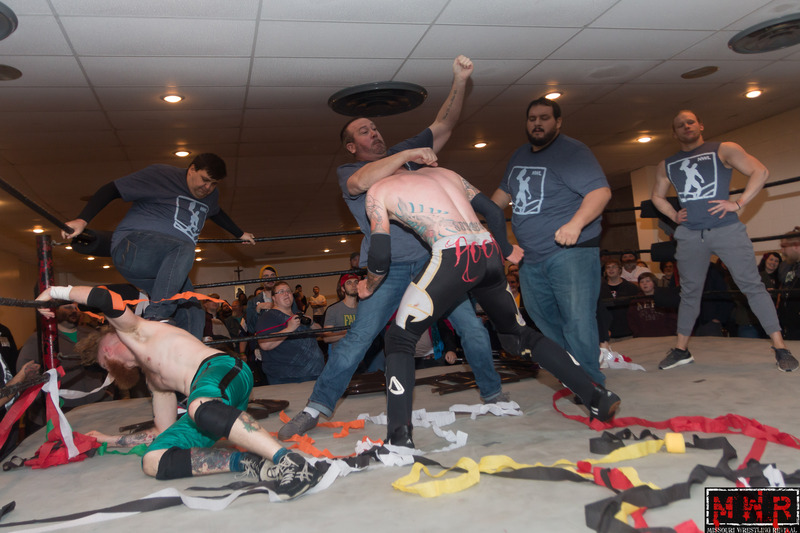 The Black Hand Warriors (Michael Magnuson & Dave DeLorean) def. Elite Aggression(Superstar Steve Fender & ” Mark Sterling( w/ Trevor Murdoch) to win the World League Wrestling Tag Team Titles. Steve Fender & Mark Sterling def. The Riegel Twins (Logan & Sterling). Dynamo Pro Wrestling Tag Champions Jack Gamble & Jon Webb def. Michael Magnuson & Danny Adams. Dynamo Pro Wrestling Tag Team Champions High Level Enterprise (Jack Gamble & Jon Webb) def. Justin D’Air & Keon Option to retain the Tag Team Titles. Shawn Santel & Mauler McDarby def. Jack Gamble & Jon Webb to win the Dynamo Pro Wrestling Tag Titles. 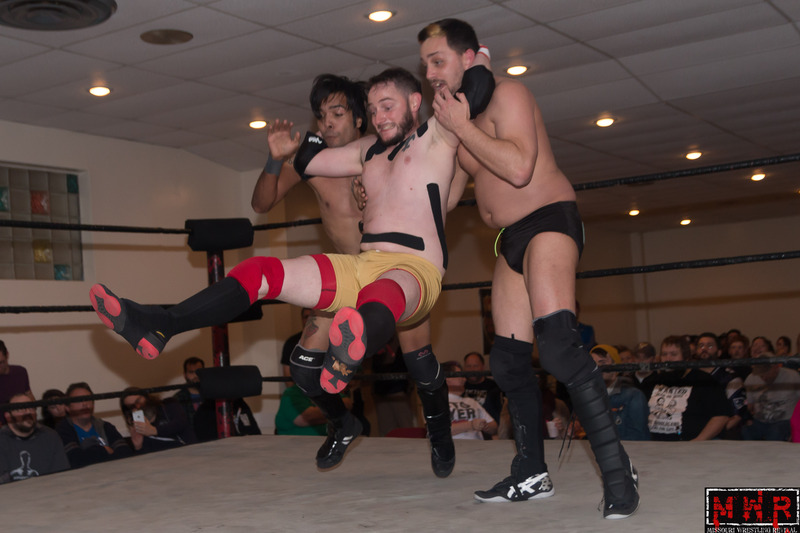 The High Risk Wrestling The Riegel Twins (Logan & Sterling) fought High Level Enterprise (Jack Gamble & Jon Webb) to a time-limit draw to retain the Tag Team Title. 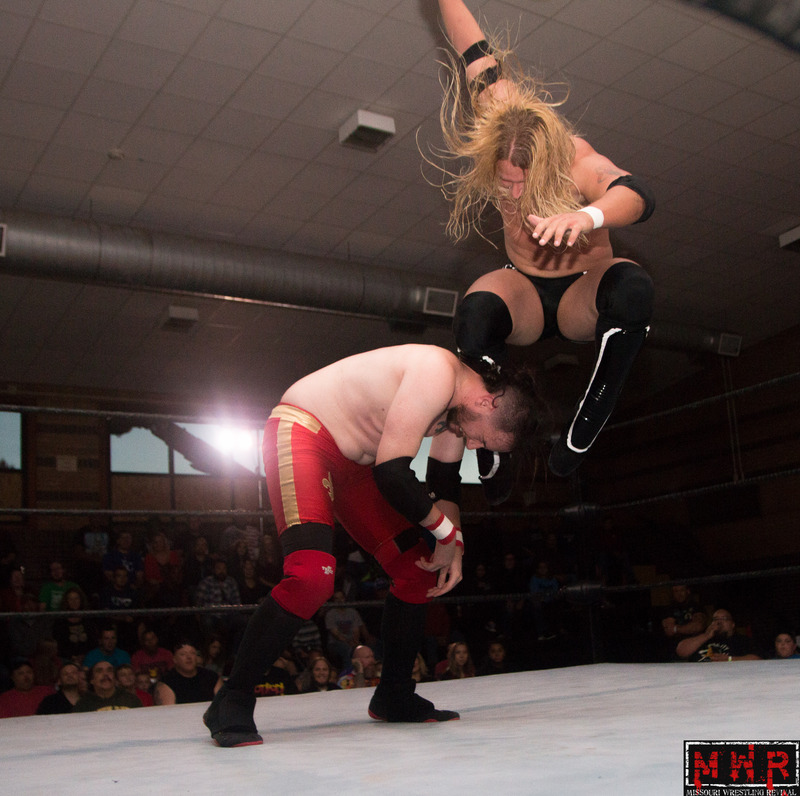 High Level Enterprise (Jack Gamble & Jon Webb) def. The Professionals (Shawn Santel & Mauler McDarby) to win the DPW Championship. Dynamo Pro Tag Team Champions High Level Enterprises (Jack Gamble & Jon Webb) def. The Professionals (Mauler McDarby & Shawn Santel). Dynamo Pro Wrestling Tag Team Champions High Level Enterprise (Jack Gamble & Jon Webb) def. Keon Option & Big Jay Knight. 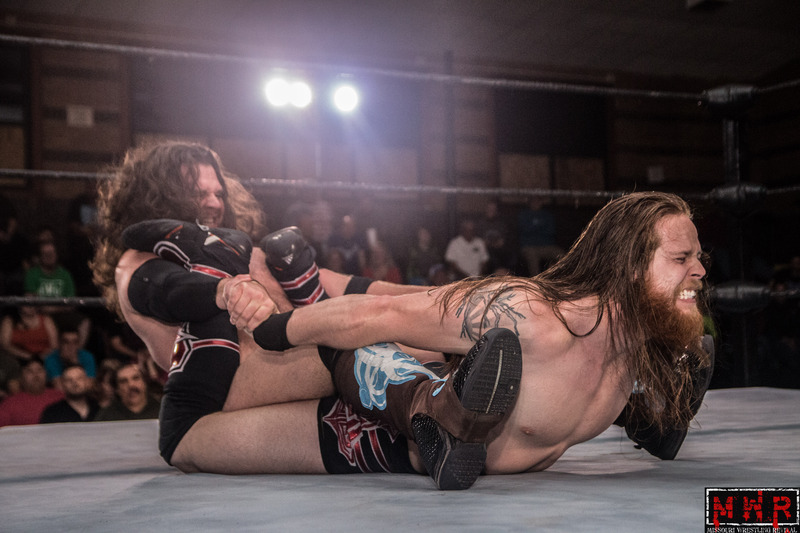 The Hooligans (Devin and Mason Cutter) pin Roscoe Eat Lisa (Zakk Sawyers and Mikey McFinnagin) to retain the Full Impact Pro Tag Team Championship. St. Louis Anarchy Tag Champs Evan Gelistico & Adam Caster def. The Hooligans, The Viking War Party & Team IOU. Tag Team Title Contenders Tournament: The Hooligans (Devin & Mason Cutter) def. Team I.O.U. (Nick Iggy Kerry Awful). 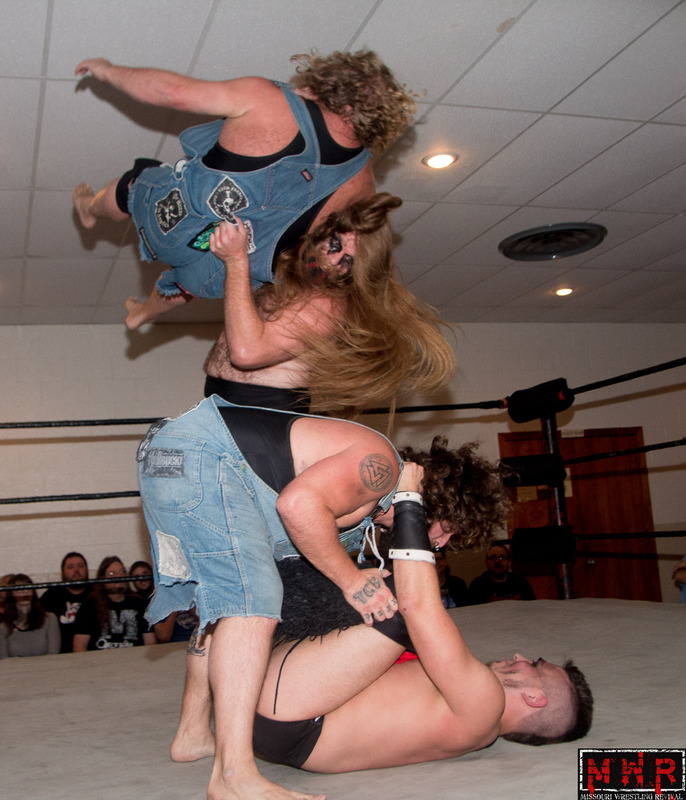 Tag Team Title Contenders Tournament: Roscoe Eat Lisa (Zakk Sawyers & Mikey McFinnegan) def. The Hooligans (Devin & Mason Cutter). The Hooligans (Devin and Mason Cutter) def. The Viking War Party (Alexander Rudolph and Jake Parnell). 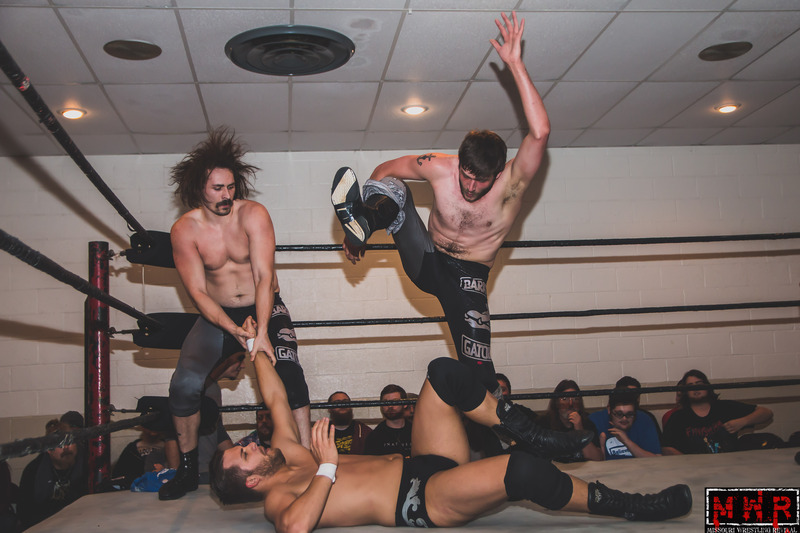 Proving Ground Pro Tag Champions Alpha Class (Danny Adams & Paco) pinned The Hooligans (Devin & Mason Cutter). 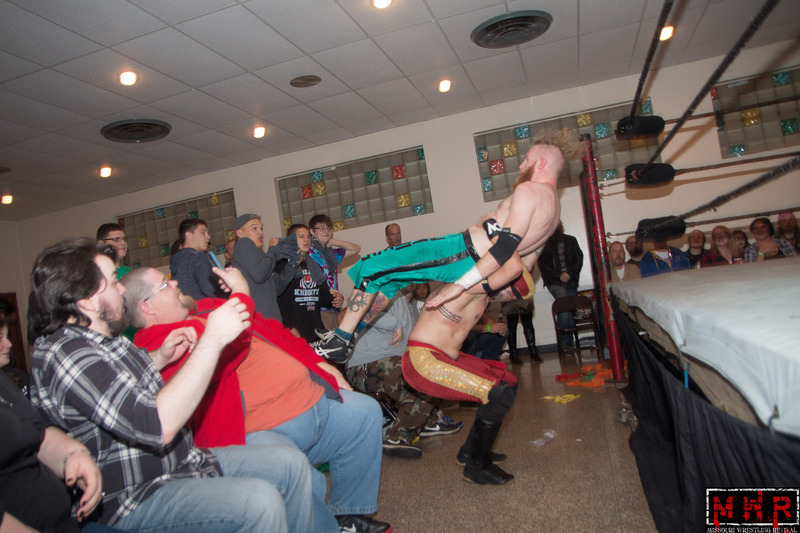 Metro Pro Wrestling Central States Champion Ace Steel def. Central States Title against the K.C. Wolves (Graham Bell and Luke Langley). The KC Wolves def. The Riegel Twins (Logan & Sterling). & Pierre Abernathy, The Diamond Dogs (Graham Bell & Luke Langley) and Jake & Ryan King. 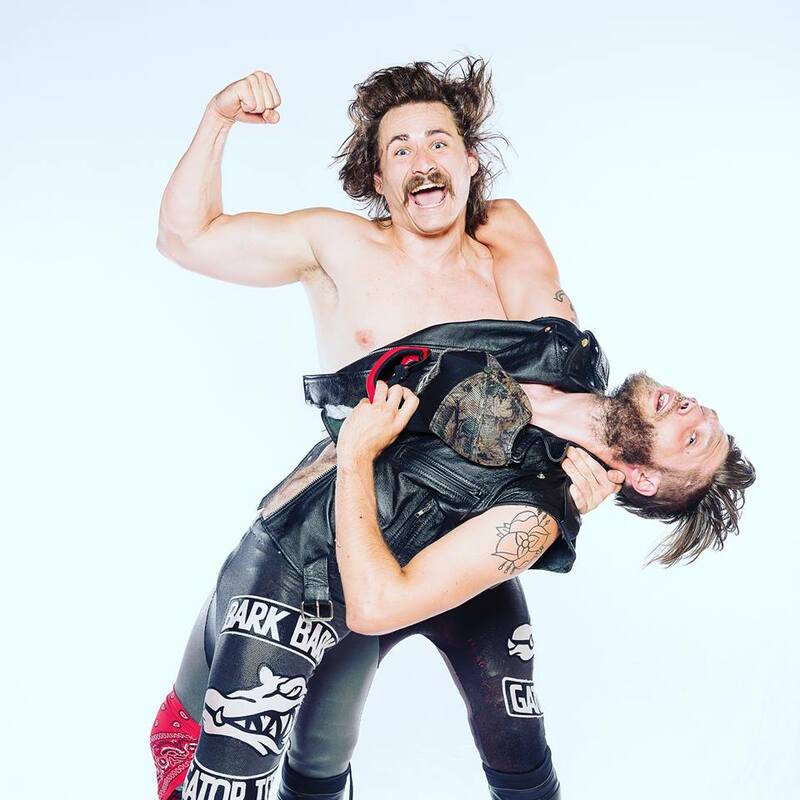 The Diamond Dogs (Luke Langley & Graham Bell) def. 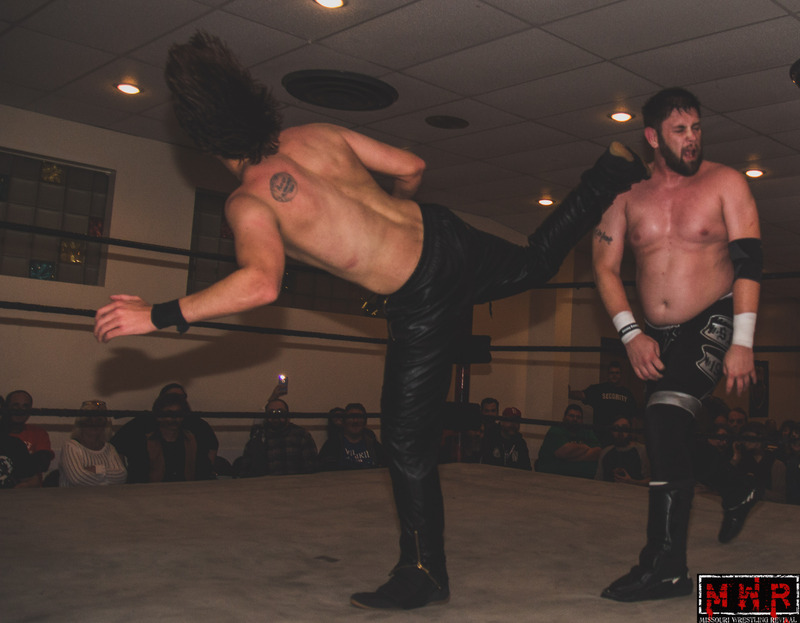 Jeff Gant & Matt Kenway. Dalton Lee Roth & Purple def. The King Brothers (Ryan & Jake King). The American Bulldogs (Maddog McDowell & Jon West) def. The King Brothers (Jake & Ryan King). Redwing & Jay Howard def. The King Brothers (Jake & Ryan). 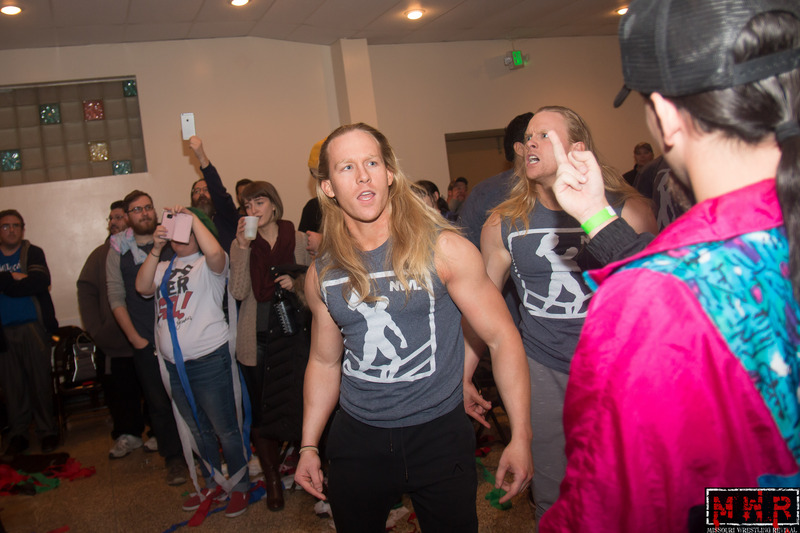 Kobra Kai Dojo (Davey Vega and Mat Fitchett) successfully defended their Metro Pro Tag Team Titles against the debuting Riegel Twins (Logan and Sterling). Alpha Class (Danny Adams & Paco Gonzalez) def. 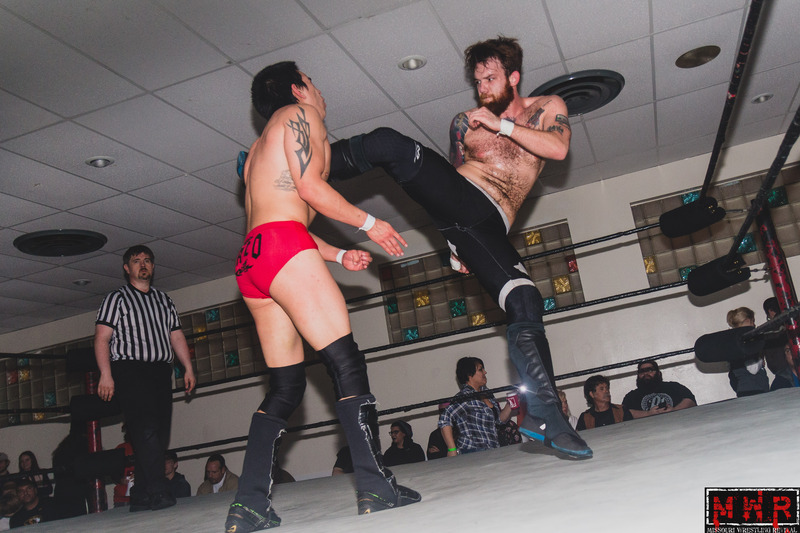 Davey Vega & Mat Fitchett. The Eternals (MWR Missouri Champion Brandon Espinosa & Ace Hawkins) def. The Family (Prince Moses & Damion Cortess) to win the MMWA Tag Team Titles. 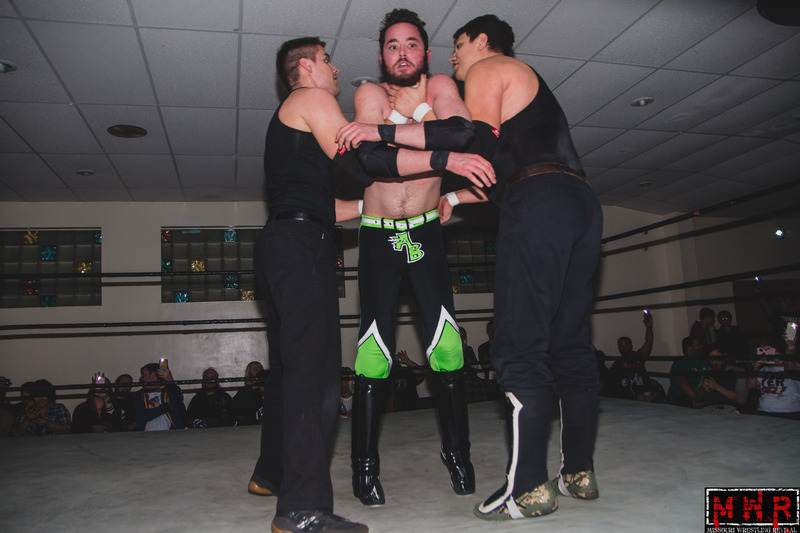 MWR Missouri Champion Brandon Espinosa won a handicap match against Evan Gelistico & Matt Kenway by DQ to retain the Tag Team Titles for himself and Ace Hawkins. 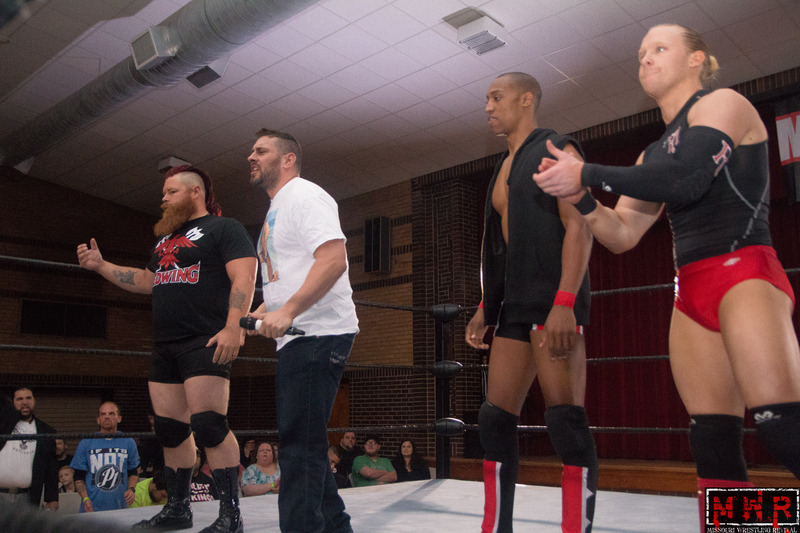 The Raw Dogs (Matt Kenway & Jason Roberts) def. The Eternals (MWR Missouri Champion Brandon Espinosa & Ace Hawkins) to win the MMWA Tag Team Titles. 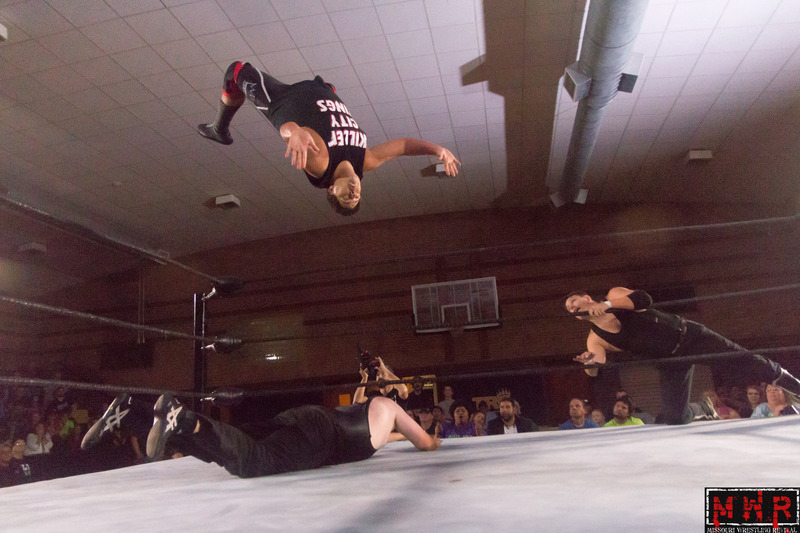 Prince Moses & Damion Cortess def. 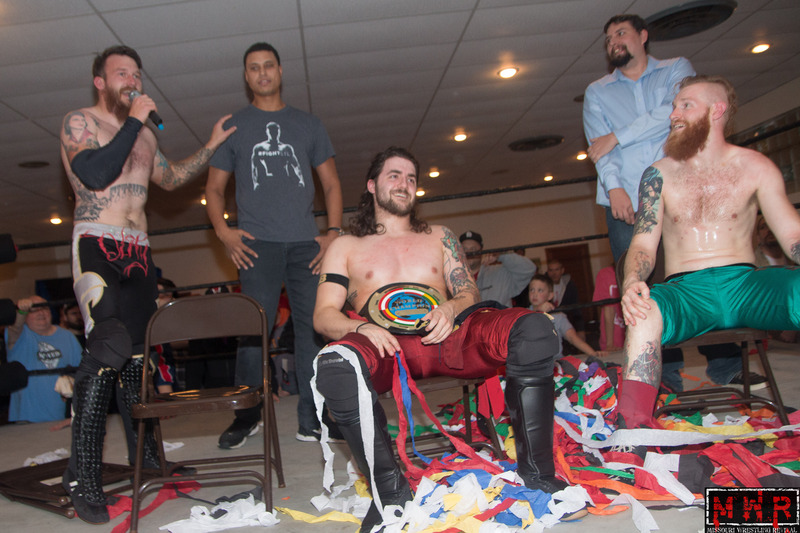 The New Millennia (Brandon Espinosa & Ace Hawkins) to win the MMWA Tag Titles. The Eternals( MWR Missouri Champion Brandon Espinosa & Ace Hawkins) def. The Family (Prince Moses & Damion Cortess) to win the MMWA Tag Team Titles. 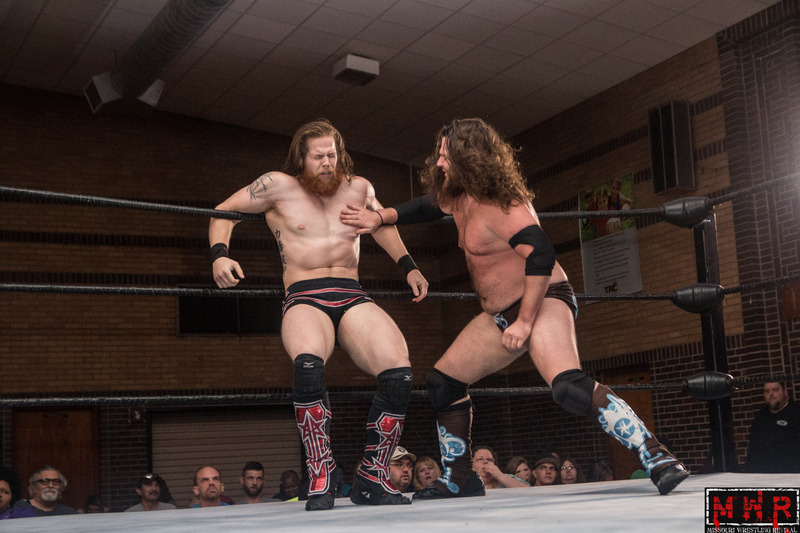 The Professionals (Shawn Santel & Mauler McDarby) def. C.J. Shine & Garrett Shanks. Shorty Biggs & C.J. Shine def. The Professionals (Shawn Santel & Mauler McDarby). DPW Tag Champs High Level Enterprise (Jack Gamble & Jon Webb) def. The Professionals (Shawn Santel & Mauler McDarby). 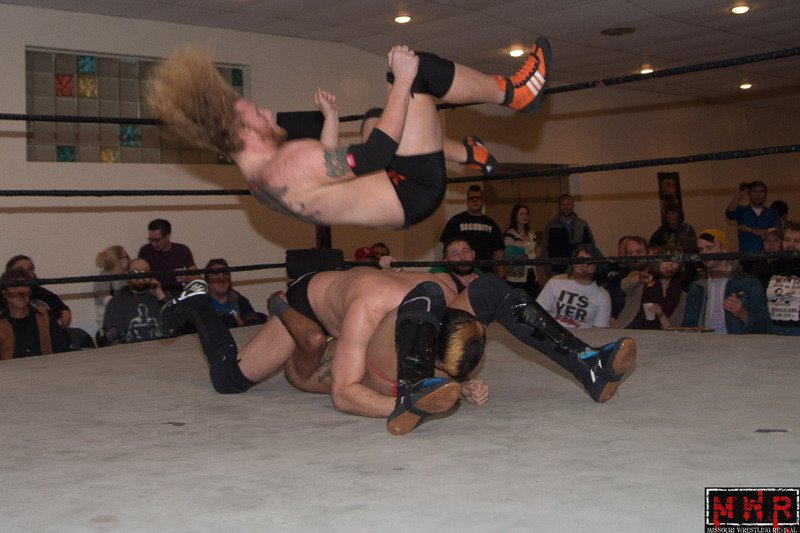 Straps Down University ( Keon Option & Justin D’Air) def. The Professionals (Shawn Santel & Mauler McDarby). The Riegel Twins (Logan & Sterling) def. 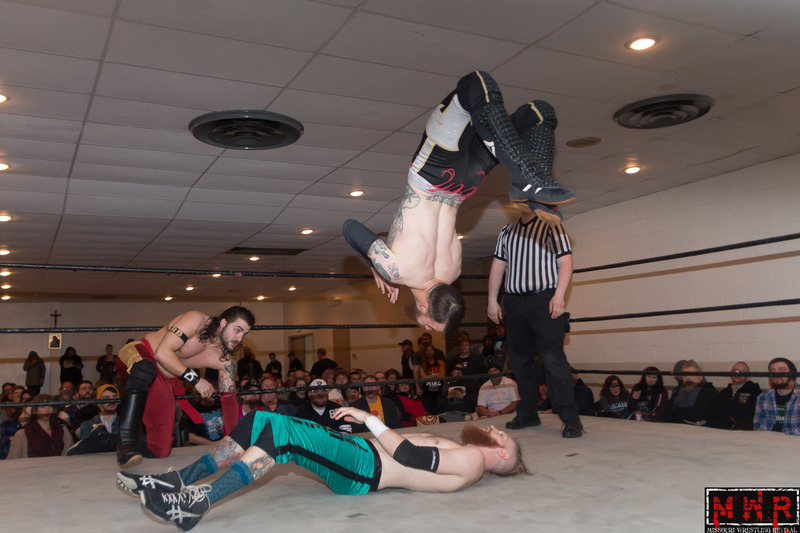 Mike Outlaw & Justin D’Air to win the High Risk Wrestling Tag Team Titles. 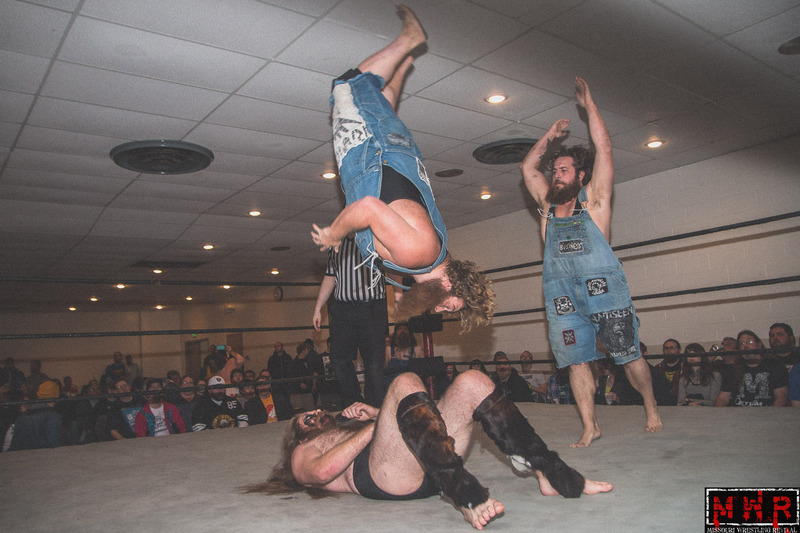 Tag Team Title Contenders Tournament: Roscoe Eat Lisa(Zakk Sawyers & Mikey McFinnegan) def. The Viking War Party (Alexandre Rudolph & Jake Parnell). Roscoe Eat Lisa def. Team IOU. Keon Option & Justin D’Air def. The Viking War Party (Alexandre Rudolph & Jake Parnell). Keon Option & Justin D’Air def. Billy McNeil & Jayson Khaos. 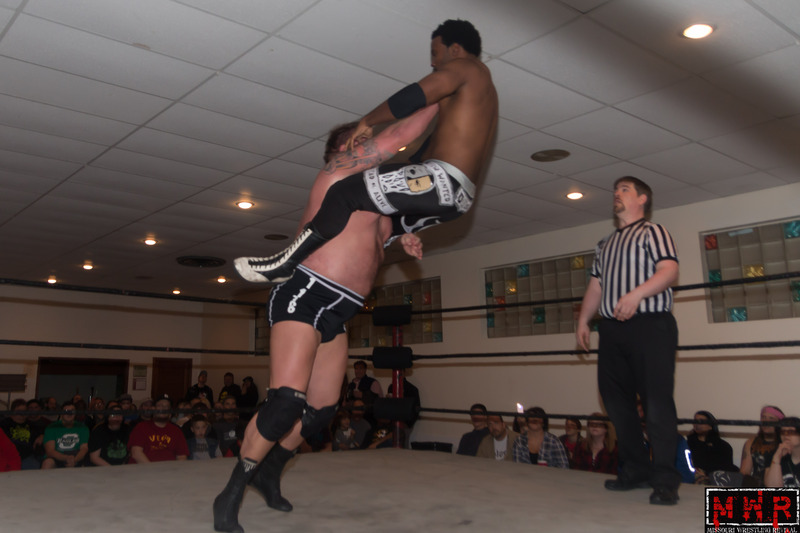 Straps Down University (Keon Option & Justin D’Air) def. The Midnight Society (Billy McNeil & Jayson Khaos )(w/ C.J. McManus) . 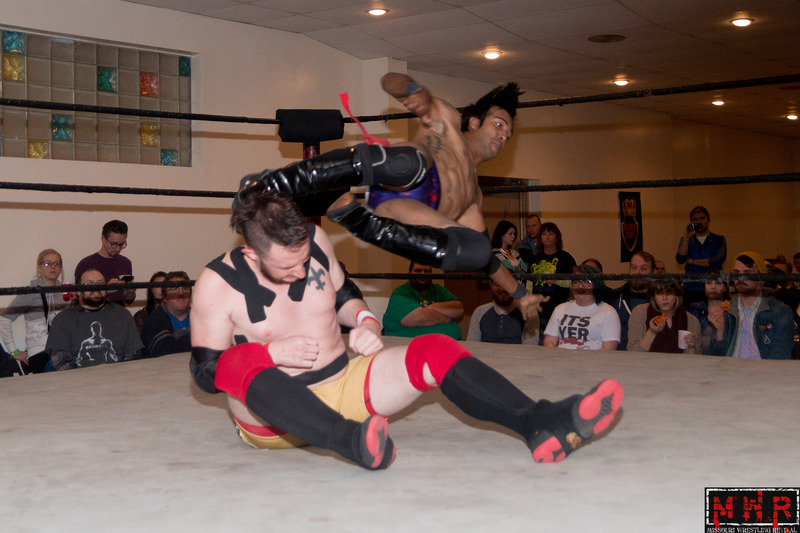 Straps Down University (Keon Option & Justin D’Air) def. The Professionals (Shawn Santel & Mauler McDarby). Straps Down University (Keon Option & Justin D’Air) d. High Level Enterprise (Jack Gamble & Jon Webb) to win the Tag Team Titles. St. Louis Anarchy Tag Champs Evan Gelistico & Adam Caster def. 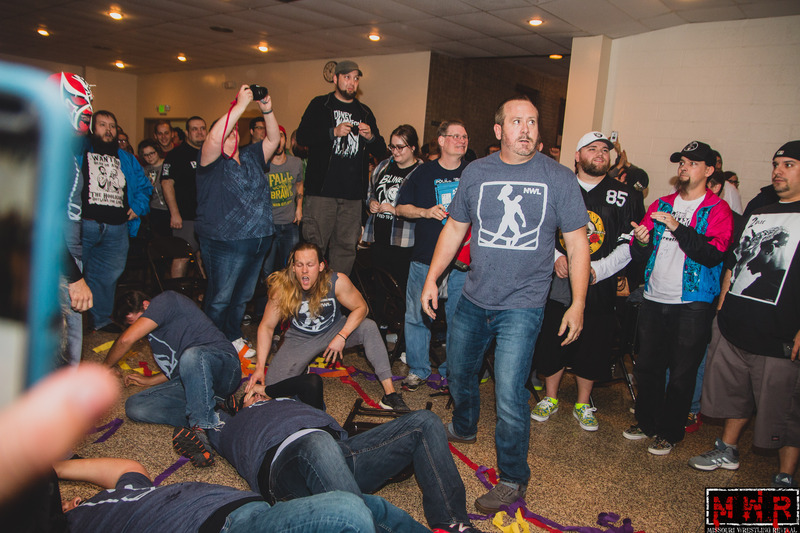 The Hooligans (Devin and Mason Cutter), The Viking War Party (Alexander Rudolph & Jake Parnell) & Team IOU (Nick Iggy and Kerry Awful) . 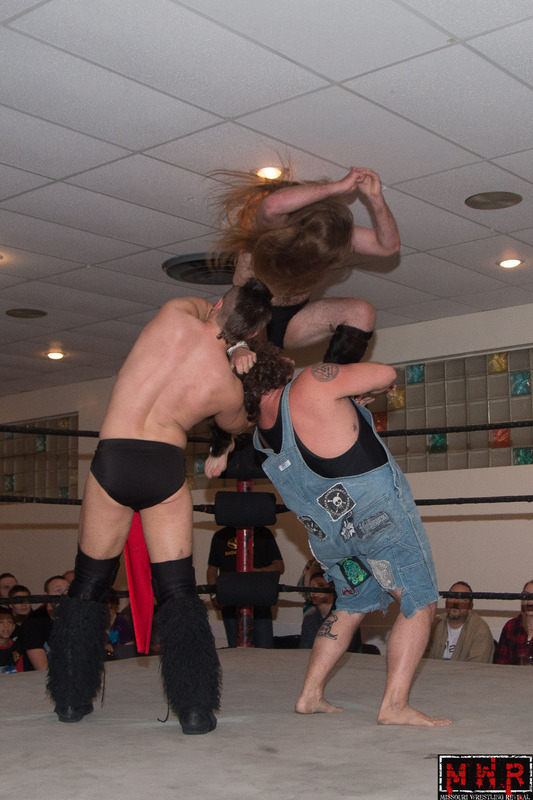 Roscoe Eat Lisa (Zakk Sawyers and Mikey McFinnagin) def. Team IOU (Nick Iggy and Kerry Awful). Team I.O.U. 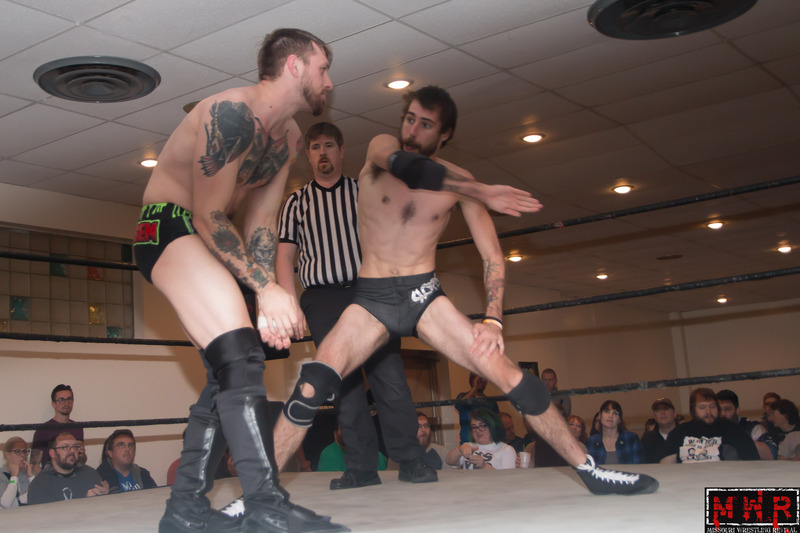 (Nick Iggy & Kerry Awful) def. Nick Cutler & Ken Phoenix. Team IOU def. Danny Adams & Everett Connors. The Viking War Party (Alexander Rudolph & Jake Parnell) def. Brandon Aarons & Garrett Shanks. Keon Option & Justin D’Air def. The Viking War Party (Alexander Rudolph & Jake Parnell). 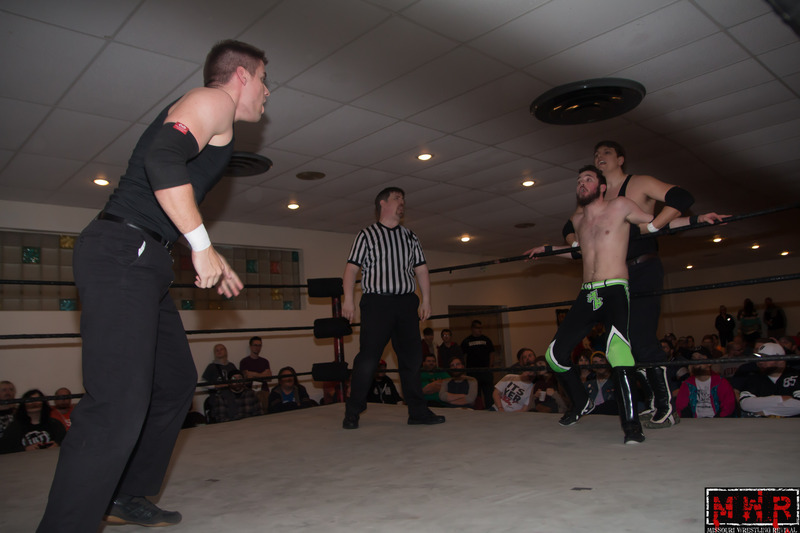 Tag Team Title Contenders Tournament: Roscoe Eat Lisa(Zakk Sawyers & Mikey McFinnegan) def. The Viking War Party (Alexander Rudolph & Jake Parnell). 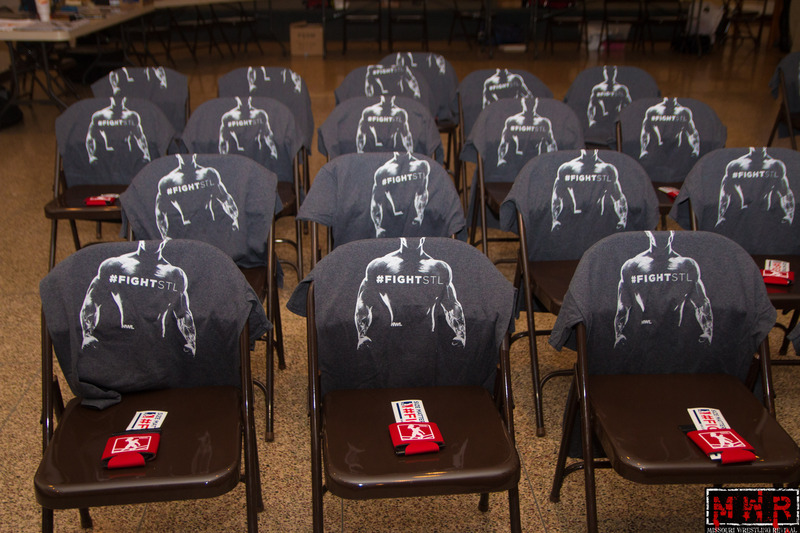 Free NWL #FightSTL shirts, stickers, and more for the first fans through the door at St. Louis Anarchy’s awesome show. 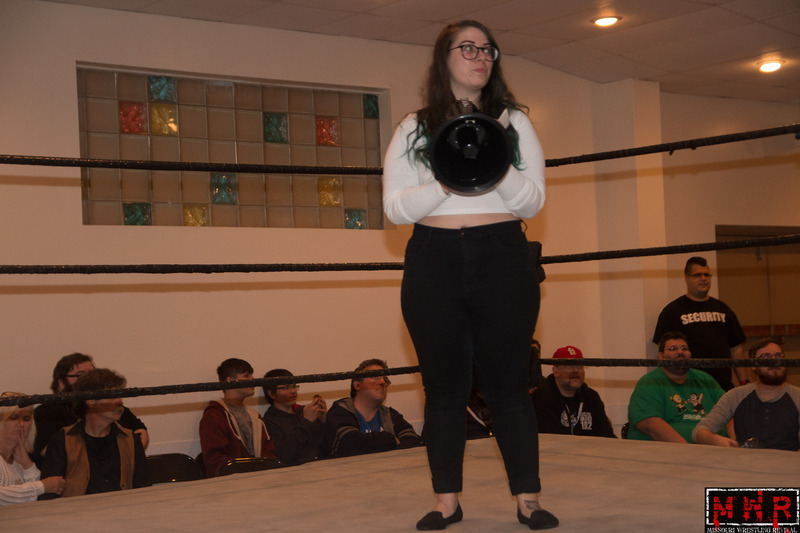 -The show started with promoter Pierre Abernathy addressing the fans and acknowledging the fact that it was the final show for St. Louis Anarchy. 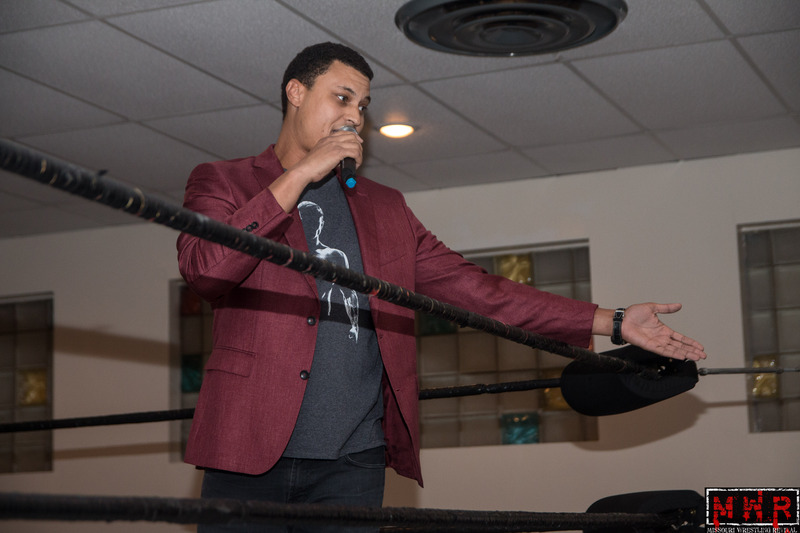 He brought out National Wrestling League promoter Major Baisden; he got a mixed reaction, but he spoke to the fans about his vision for the NWL and seemed to have them on board. 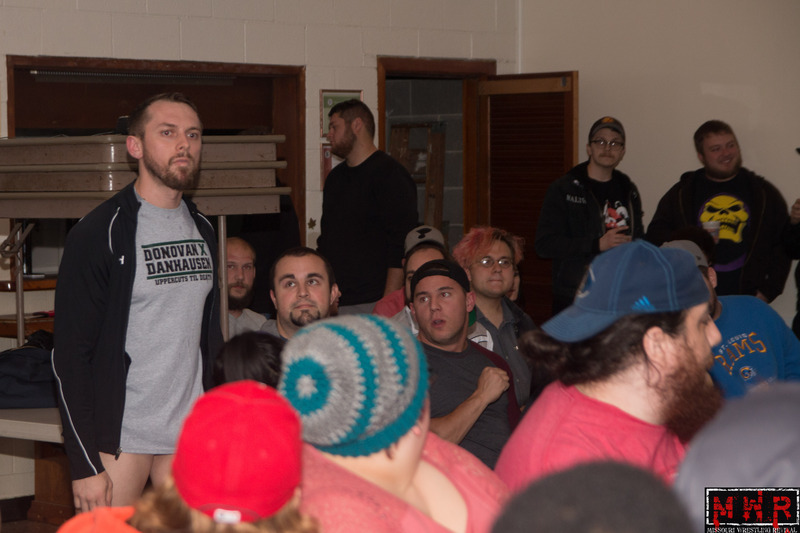 –The Hooligans(Devin & Mason Cutter)(w/ Uncle Leo) d. The Viking War Party(“American Viking” Alexandre Rudolph & “Littlest Viking” Jake Parnell); the match broke down into a bar fight with the four sitting in chairs and punching each other. It finally came down to Devin simply pummeling Parnell to the mat and pinning him (15:53). 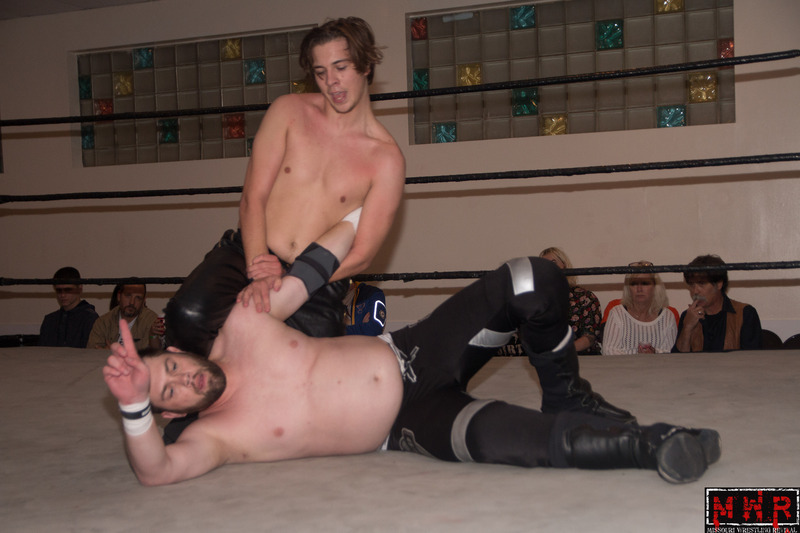 –“Dad Bod” Sean Orleans won a four-corner match with Cody Krash, Ken Lee, & Chris Crunk when he pinned Crunk after hitting a double Stone Cold Stunner on Crunk & Lee (6:03). 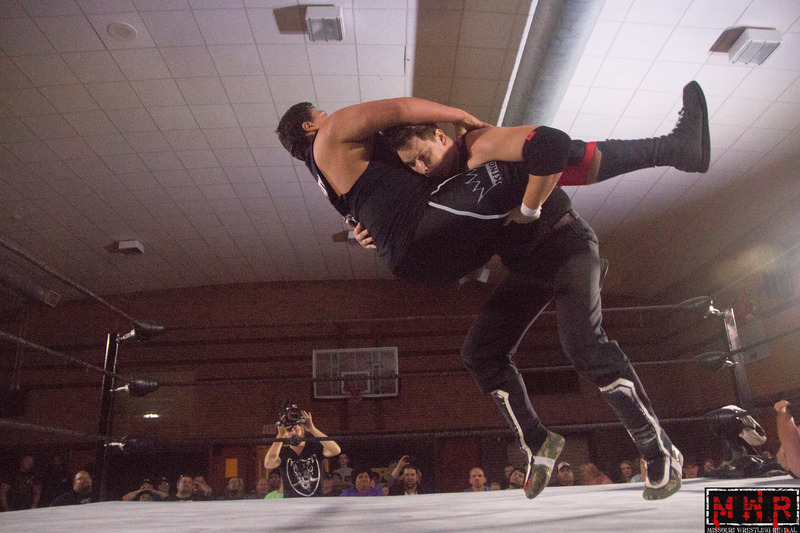 -Donovan Danhausen d. Slade Sludge with a sitout powerbomb (6:24). 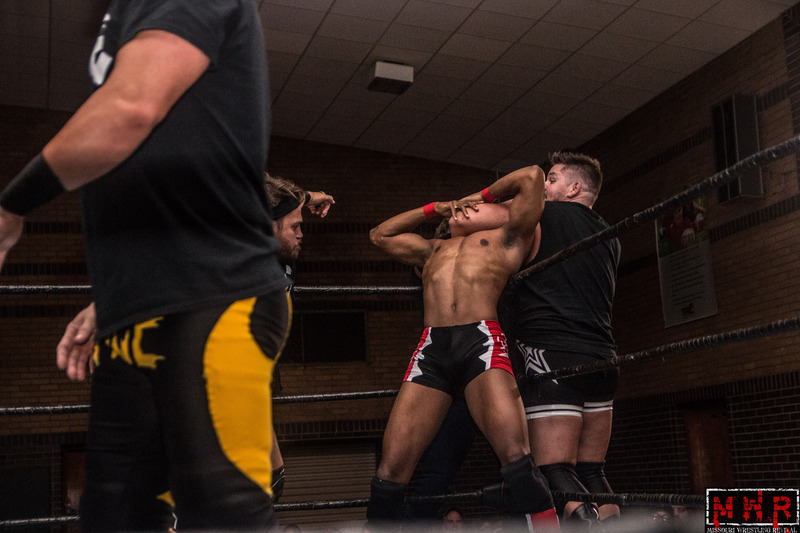 –Kevin Lee Davidson d. Mike Outlaw after a Regal Roll off the second rope followed by the spinebuster (10:01). 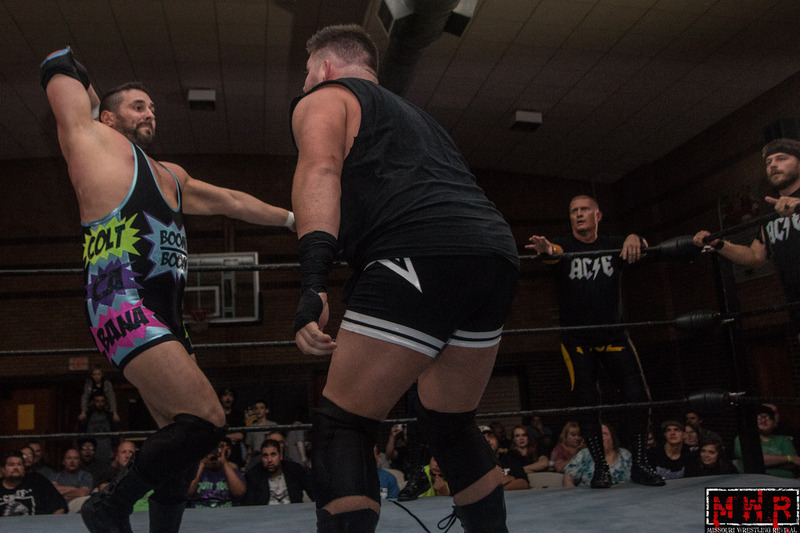 -Cause members Evan Gelistico & Danny Adams brought out Everett Connors, who seemed to have amicably split from the group…however, tempers flared and Connors chased them from the ring. 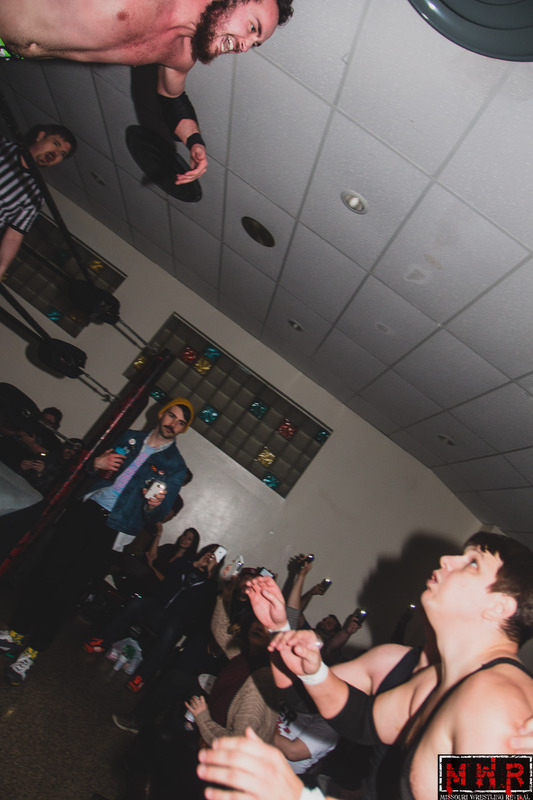 -“The Savior Of Pro Wrestling” Jimmy Rave d. Everett Connors after the Ghanarhea(snap cradle Olympic Slam) (15:46). 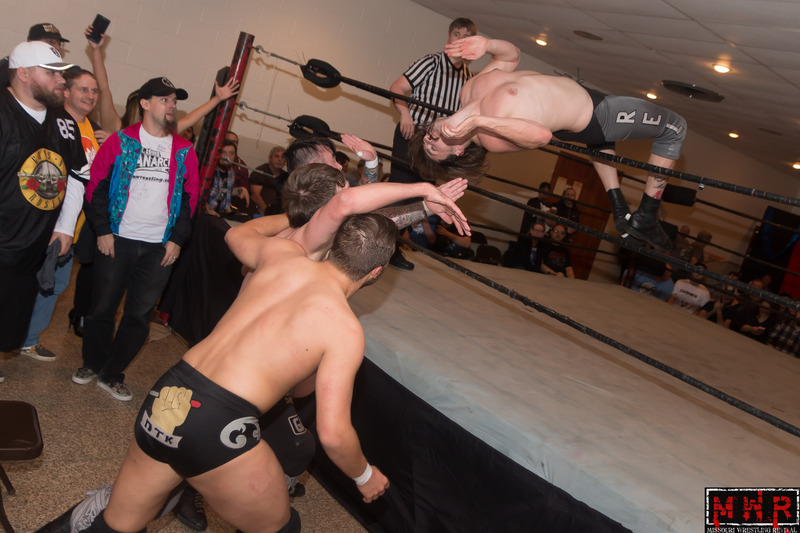 –Angelus Layne & Austin Blackburn d. Evan Gelistico & Danny Adams when Blackburn pinned Gelistico with a Code Red (13:10). 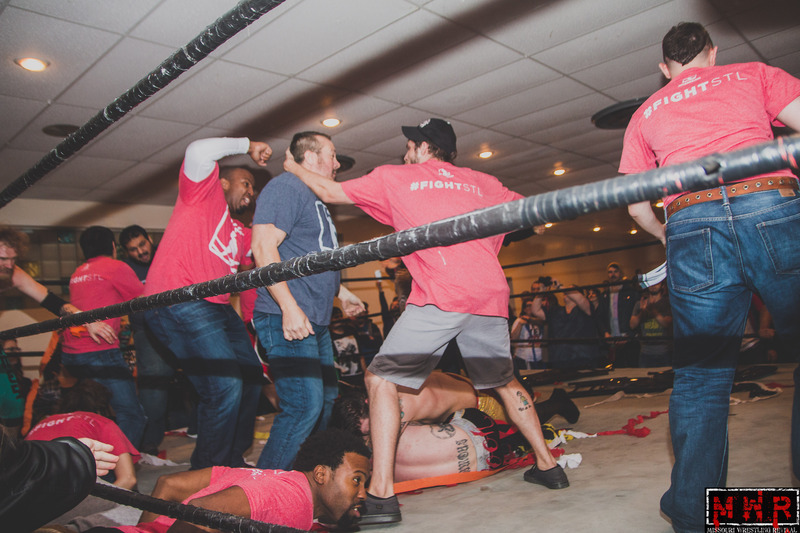 The building had a power outage during the match and the fans lit the ring with their cellphones so the match could continue! 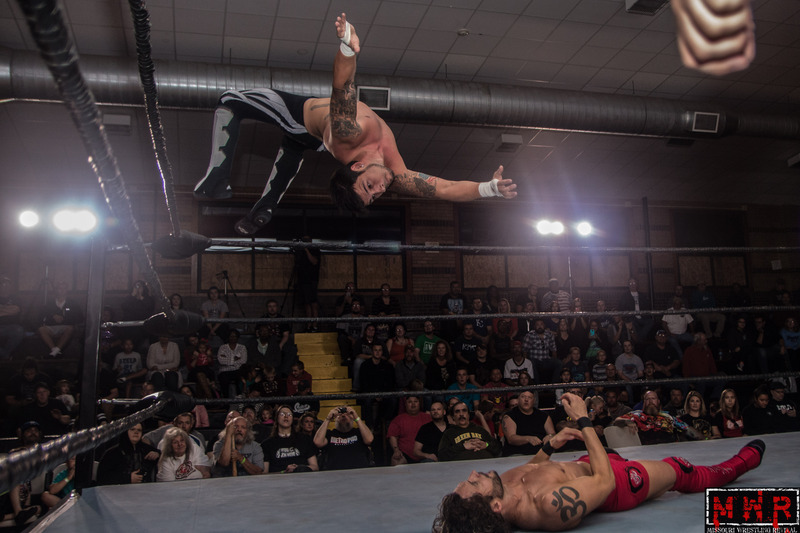 –Aaron Solow won a triple threat match with Paco Gonzalez and Jason Roberts when he pinned Roberts after a cradle DDT (9:53); the power remained out for the duration of this match, but was finally restored before the next bout. -Roscoe East Lisa(“Zesty” Zakk Sawyers & “The Big Mustache On Campus” Mikey McFinnegan) d. Team I.O.U. (“The Down-South Dandy” Nick Iggy & “The Music City Mutt” Kerry Awful) to retain the Tag Team Titles; Sawyers pinned Awful after he and McFinnegan delivered a spiked Air Raid Crash (16:38). -“Gorgeous” Jordan Lacey d. “The Incredible Primal Prodigy” Matt Kenway (Look At Him) after the Jenna Jameson(swinging uranagi) (2:02). 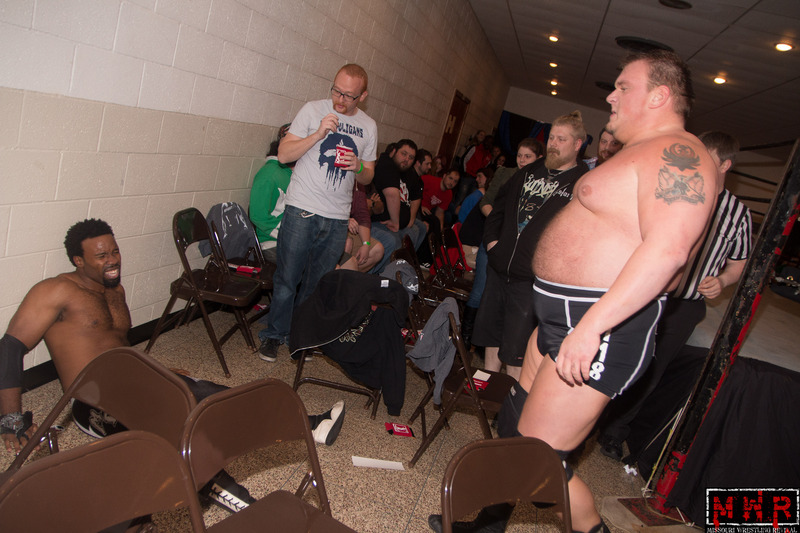 Gelistico & Adams attacked Lacey after the match, but the returning Adam Caster and Frankie Big Balls made the save! Caster addressed the fact that he had bought into Gelistico’s “bull$#!+”, but he had to retire from wrestling due to concussions and had cleared his head. 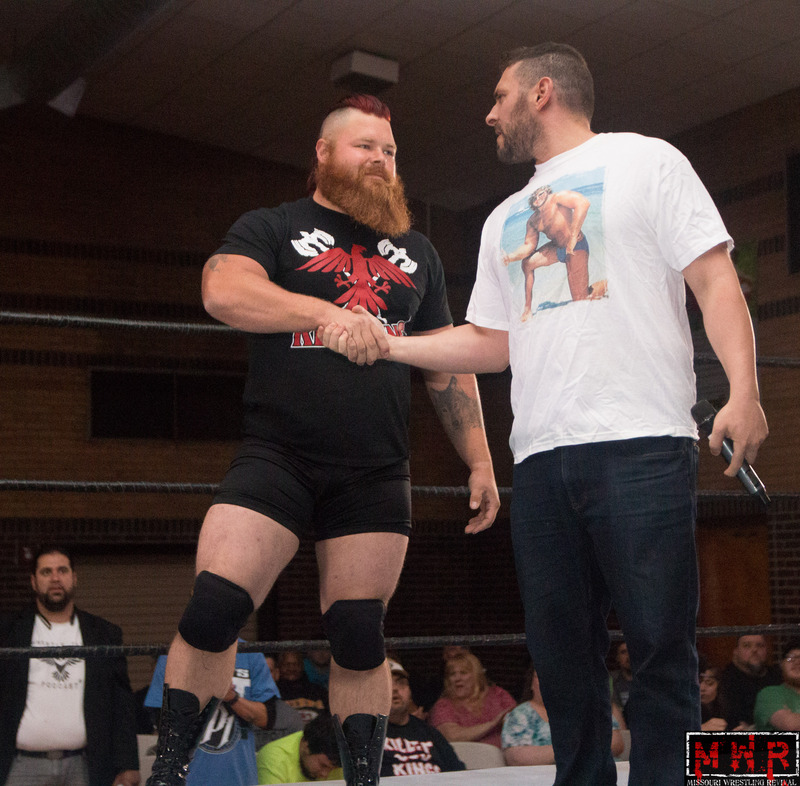 He introduced Frankie Big Balls as well as several personalities from SLA’s predecessor, the Lethal Wrestling Alliance: Jordan Taylor(former LWA President), Tim Pickerill(who did a lot of behind-the-scenes work for the LWA), and Mad Dog Daffronian(LWA ring announcer). 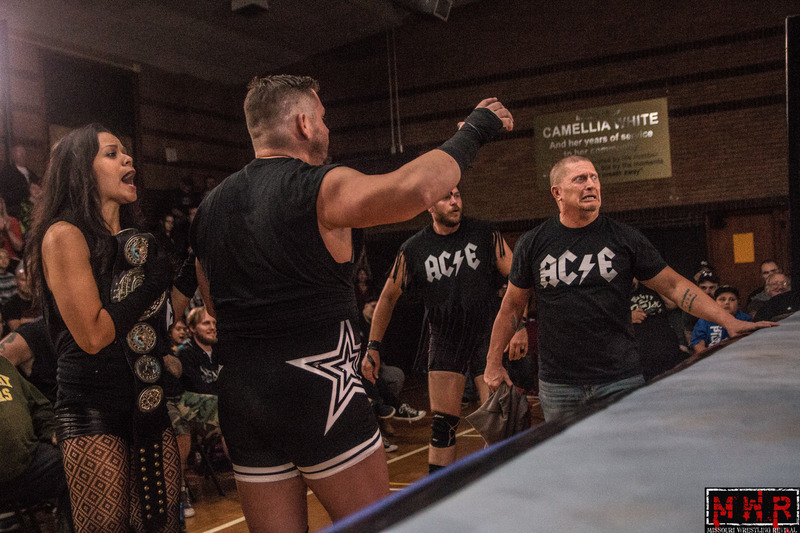 -“The Ace Of Anarchy” Davey Vega won a triple threat match with Gary Jay(w/ Dorian Victor & Mrs. Victor) and Mat Fitchett(C) to win the Heavyweight Title. Vega delivered his brainbuster onto the knee on Gary Jay, then hit the move on Fitchett as well and pinned the champion for the win (17:02)! 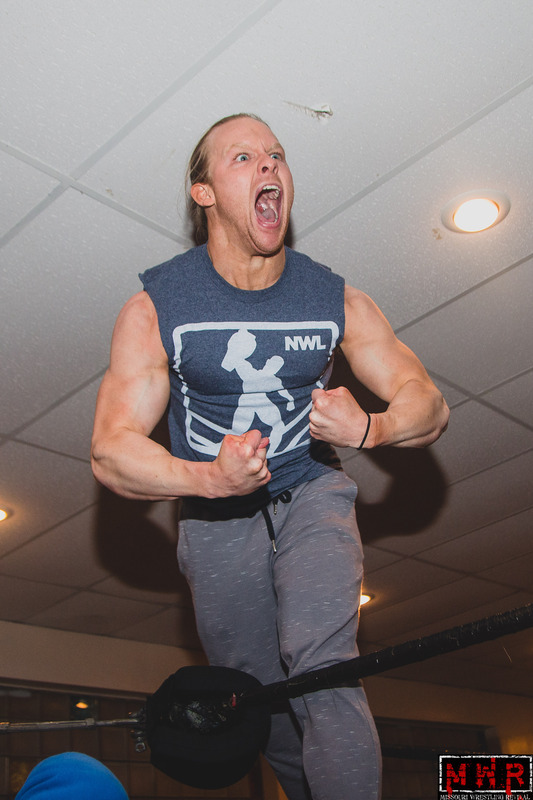 Vega barely had time to celebrate his win as several competitors from the Kansas City side of the NWL attacked all three competitors; I saw Logan & Sterling Riegel), Jake & Ryan King, Kiyoshi Shizuka, and even Michael Strider! The locker room emptied to run them off, ending with K.L.D. Awesome-Bombing one of the Riegels over the top rope onto the other K.C. interlopers! Major Baisden and Lucy Mendez stood with the St. Louis crew in the ring as Baisden admonished the Kansas City crew for interfering with the show. 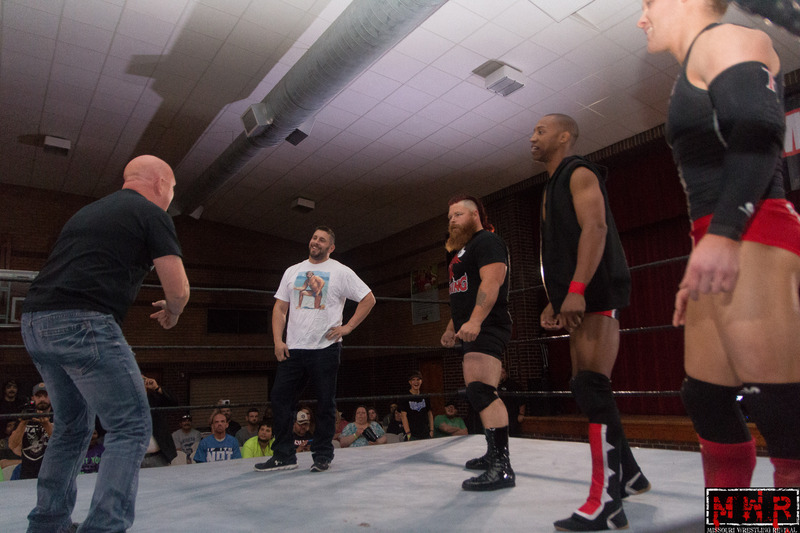 The three competitors and Pierre Abernathy said their final words before the show officially wrapped up, closing the book on an era in St. Louis wrestling. 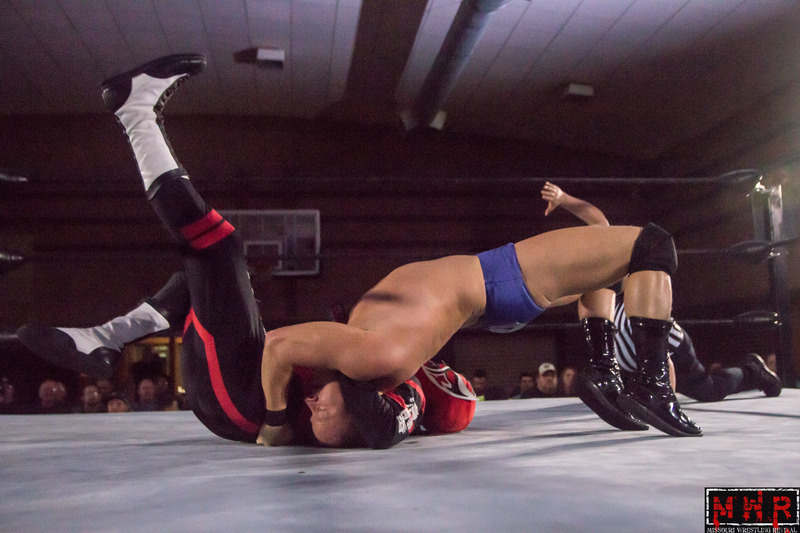 The next Metro Pro Wrestling event is Saturday, December 3, at 7 p.m. inside Turner Rec Center in Kansas City, KS! 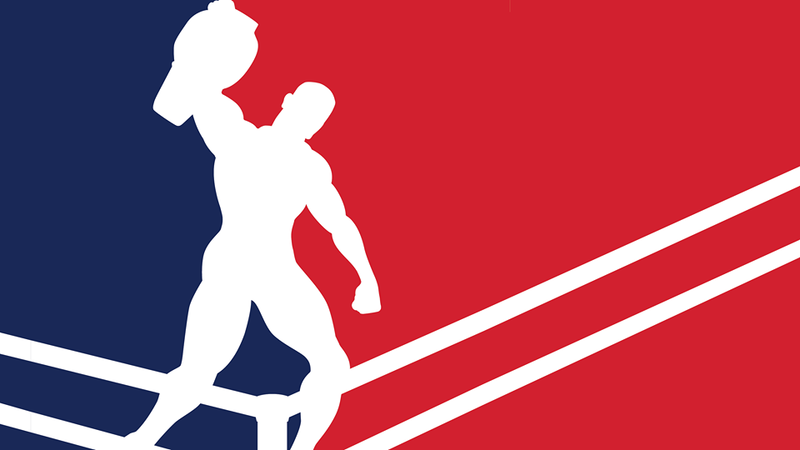 Doors open at 6:15 p.m.
– Metro Pro Championship Final will take place as well, as we’ll crown a new champ! – Our special guest for the show — The Honky Tonk Man! 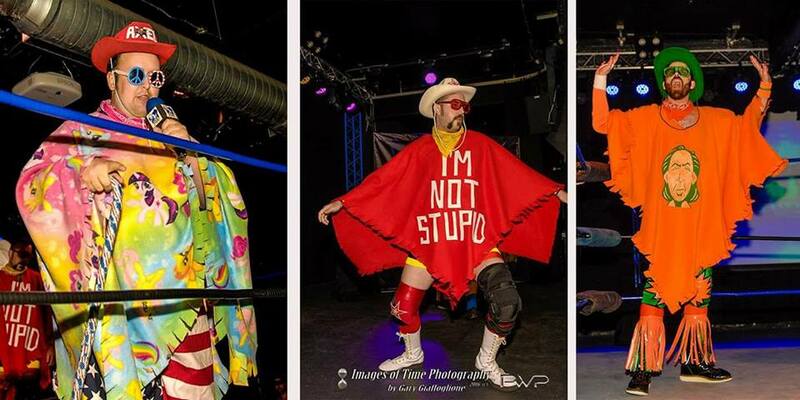 Our next Metro Pro Wrestling event is Saturday, July 30, at 7 p.m. inside Turner Rec Center in Kansas City, KS! 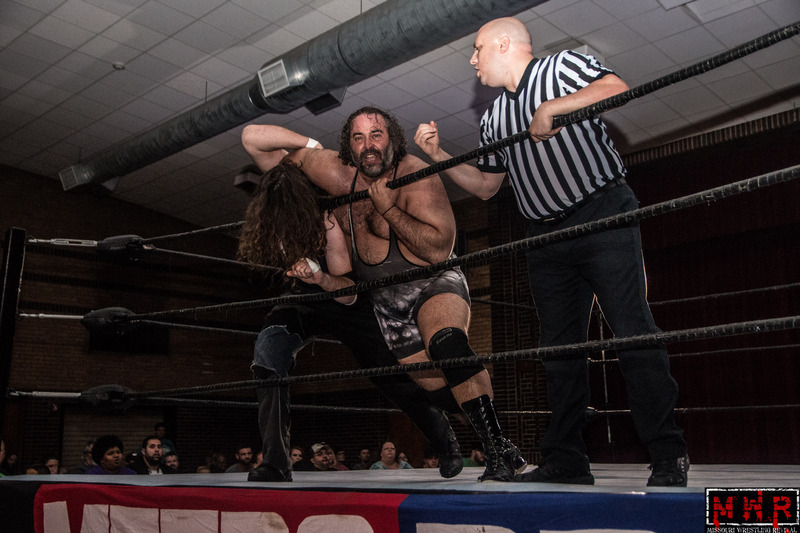 Doors open at 6:15 p.m.
– MAIN EVENT: Retiring Jeremy Wyatt vs. President Michael Strider in an Unsanctioned, No Holds Barred Match to finally end their nearly two year war! More matches to be made soon! Saturday, April 9, for our next event of 2016! Doors open at 6:15 p.m. Event starts at 7 p.m. Tickets are on sale now! – Metro Pro Championship Match: Jeremy Wyatt (c) will defend his Metro Pro Championship against former ECW/WWE star — “The Gore Machine” Rhyno! 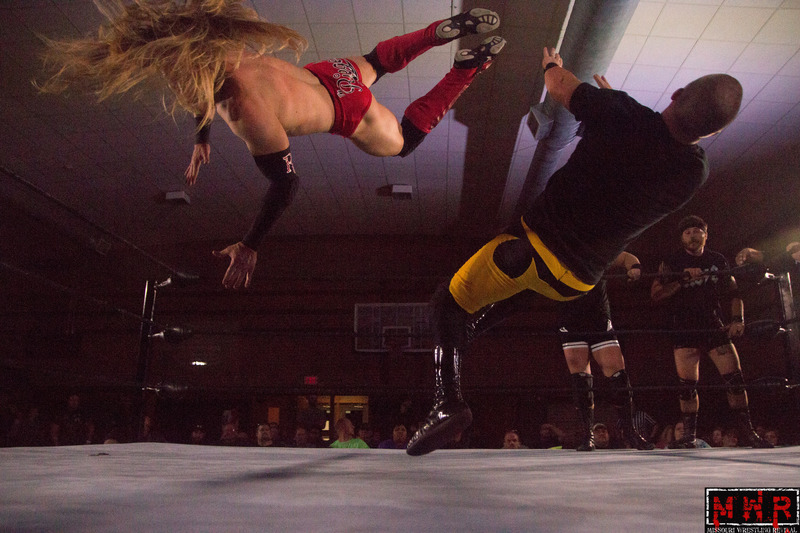 Metro Pro Wrestling airs every week on Time Warner Cable SportsChannel and TWC SportsChannel 2. The show replays several times during the week! Check local listings for details. Turner Rec Center is located at 831 S. 55th St, Kansas City, KS. For more information, call Metro Pro at (816) 974-7160. 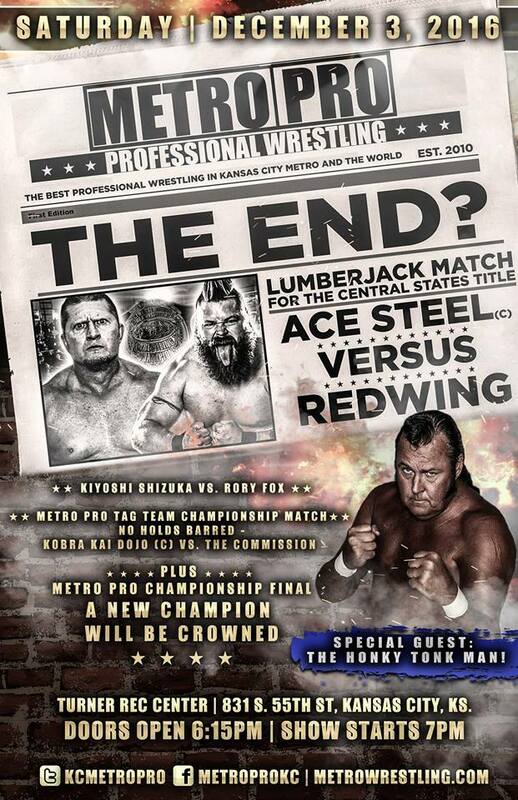 Purchase tickets for Metro Pro Wrestling here. Metro Pro Wrestling returns to Turner Rec Center in Kansas City, KS, on Saturday, January 30, for our first event of 2016! Doors open at 6:15 p.m. Event starts at 7 p.m. Tickets are on sale now! Our special guest will be former WWF/NWA/ECW/SMW star Tracy Smothers! Matches to be announced soon! 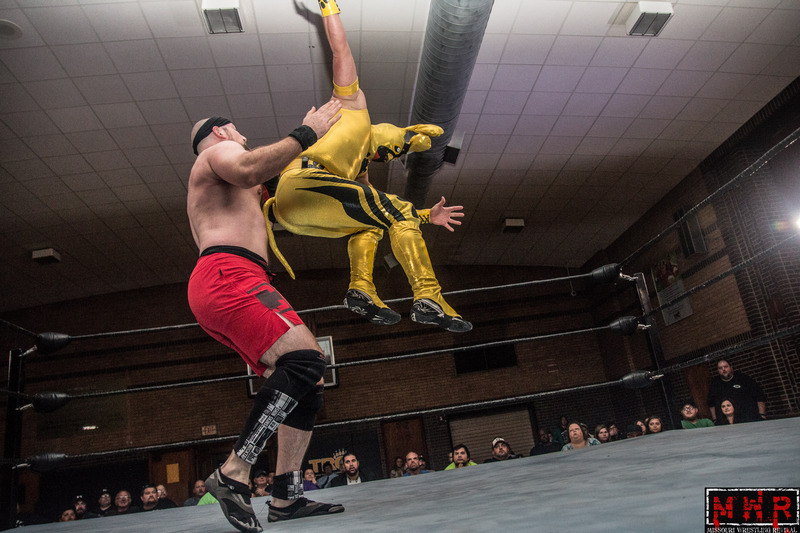 Metro Pro Wrestling airs every Saturday night on Time Warner Cable SportsChannel at 11 p.m. The show replays several times during the week! Check local listings for details. Matt Murphy tells Domino to do his job! MWR fans know very well the name of Matt Murphy. Murphy is the first graduate of the Harley Race Wrestling Academy, a former WLW Tag Team Champion, gone to war with CM Punk and B.J. Whitmer at IWA-Mid south, been to Japan and wrestled on TV for the WWE. Murphy has been a bestselling author for his autobiography named The Somebody Obsession: A nobody’s desperate Journey to Stardom, been a contributing writer for MWR and recently was asked to be the Metro Pro Wrestling Commissioner. 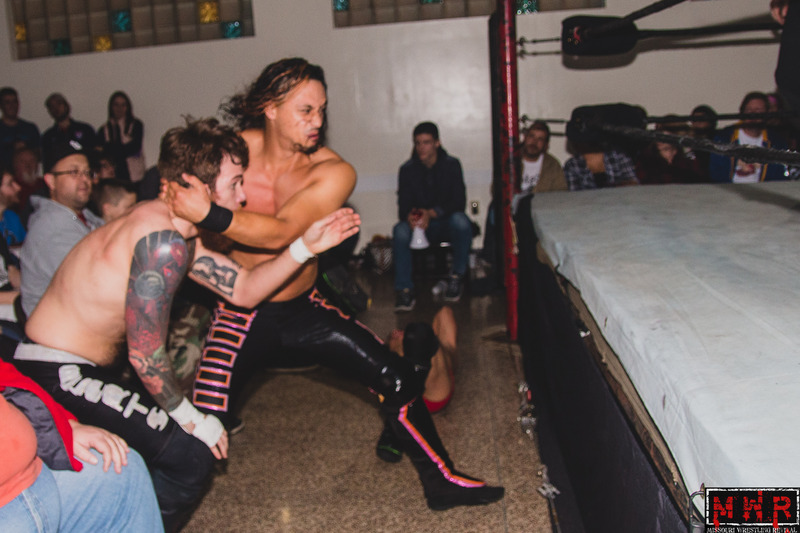 At one point MPW Superstar Domino Rivera lost a match thus making him Murphy’s personal assistant. The TV Cameras caught this on tape. 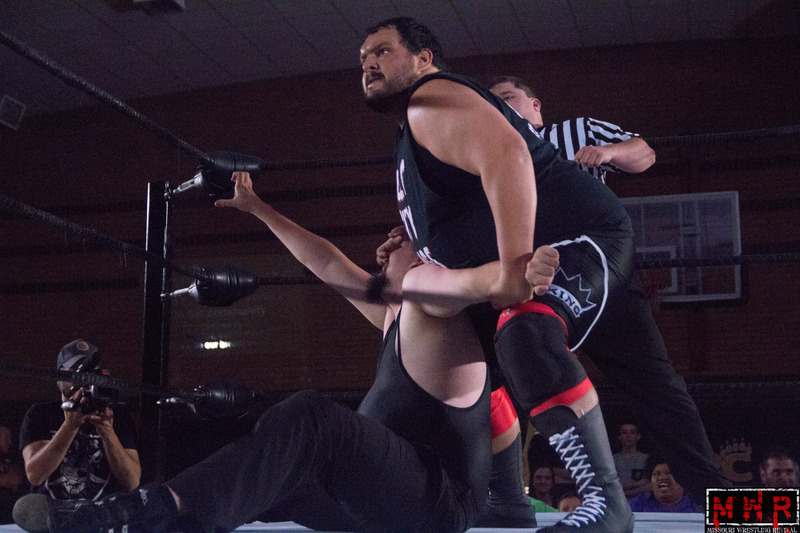 Note: Since this was taped Domino Rivera along with a little help from Lucy Mendez defeated #1 Brett Young in a loser is Matt Murphy’s Assistant. Don’t forget to make your way to Kansas City on August 13th to be catching all the action, drama and suspense at Metro Pro Wrestling. 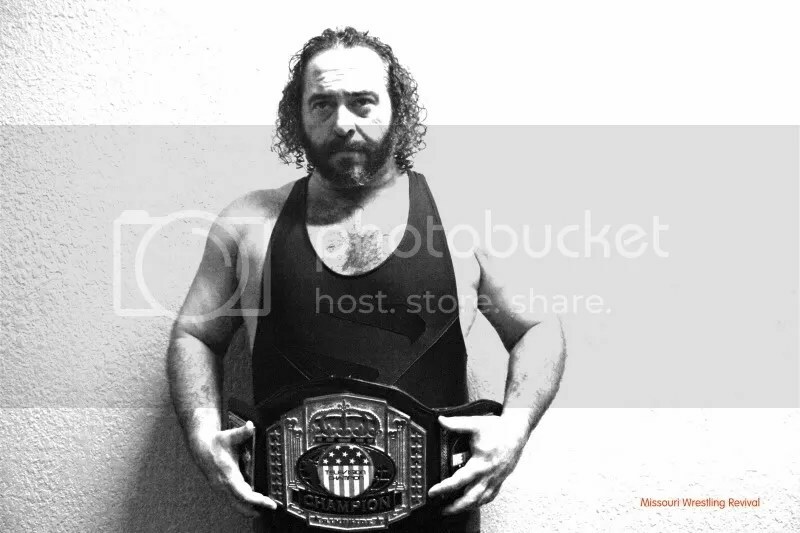 Metro Pro Wrestling Champion Derek Stone welcomes you to MWR. 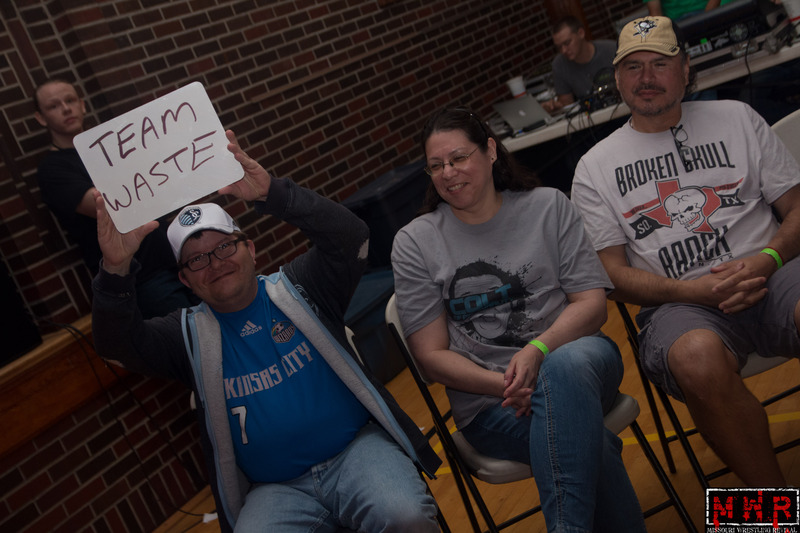 ﻿Prior to the March Metro Pro Wrestling show in Kansas City our good friend and current MPW Champion Derek Stone took the time to give a shout to the fans of the Midwest. 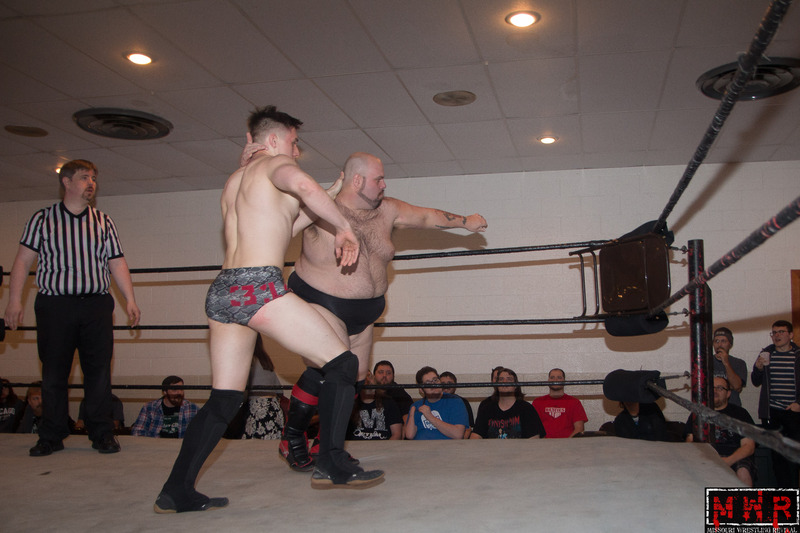 Later in the night Stone would win a three way match from Trevor Murdock and Bull Schmitt after Murdock drilled the Stone with a chair. 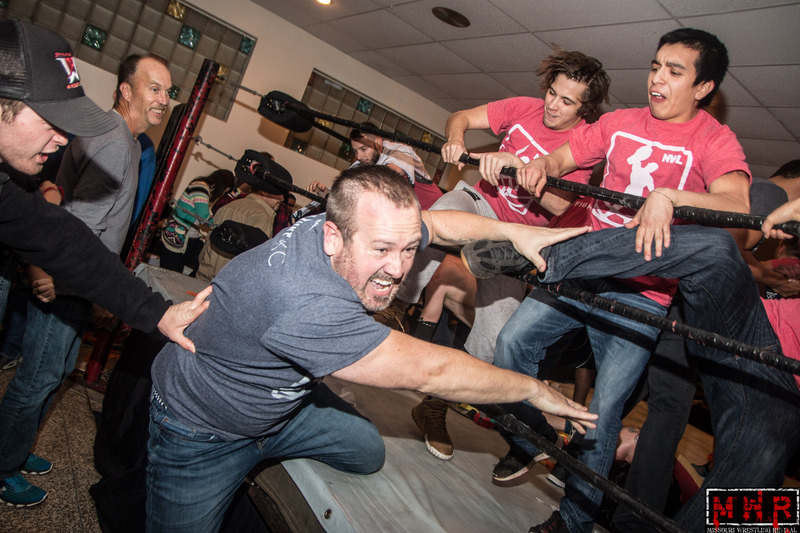 MPW commissioner Michael Strider came out to help the champ where he suddenly snapped and attacked Strider. We can only hope that Stone was disoriented and did not fully understand his actions that evening. Please join us at Metro Pro Wrestling on April 9th for a fun filled evening that you will not forget.